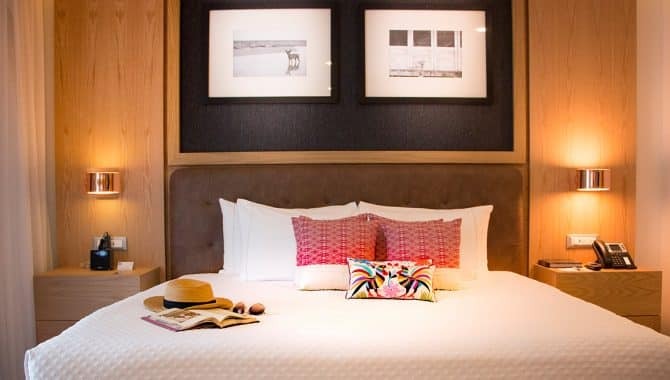 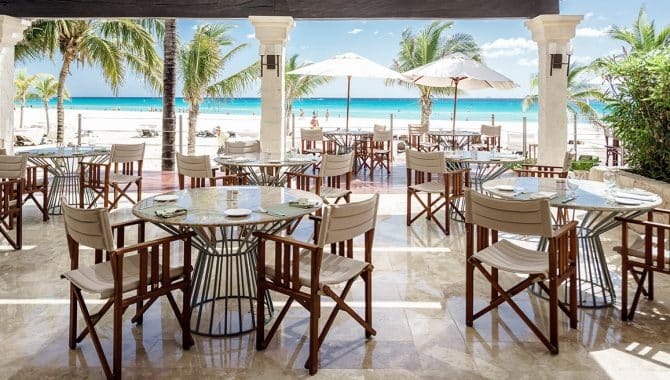 Playa del Carmen’s chic vibes and bustling Quinta Avenida just hardly scratch the surface of Mexico’s third-largest city. 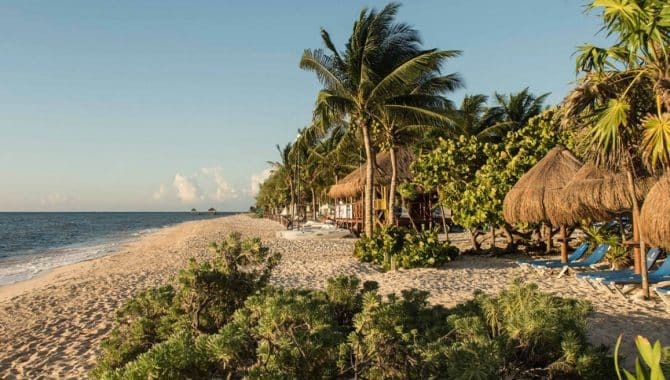 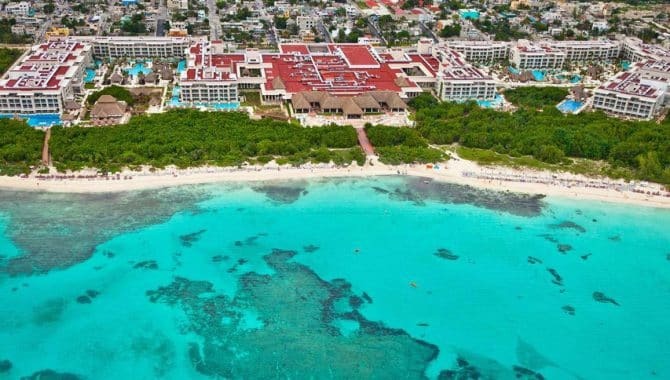 The second-largest barrier reef awaits you for snorkeling and diving just offshore and historic Mayan ruins sit a short drive away. 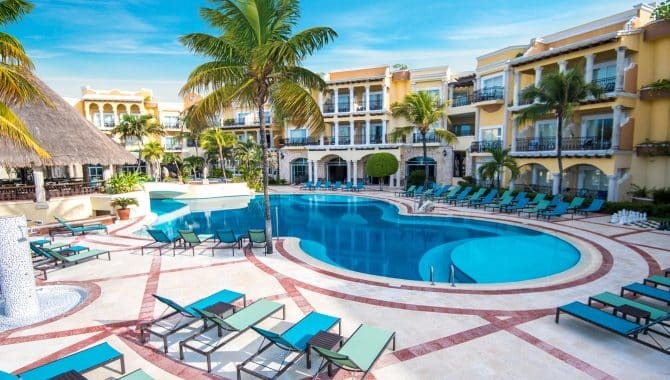 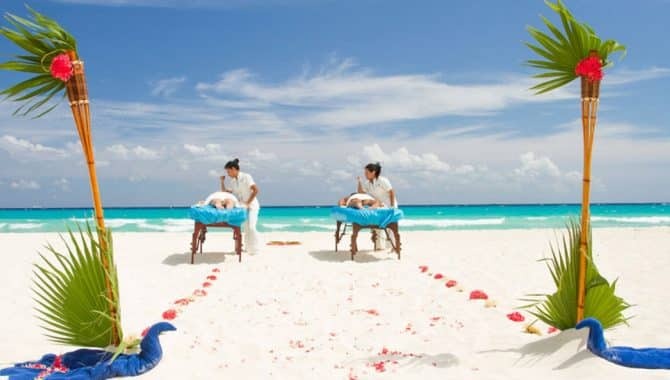 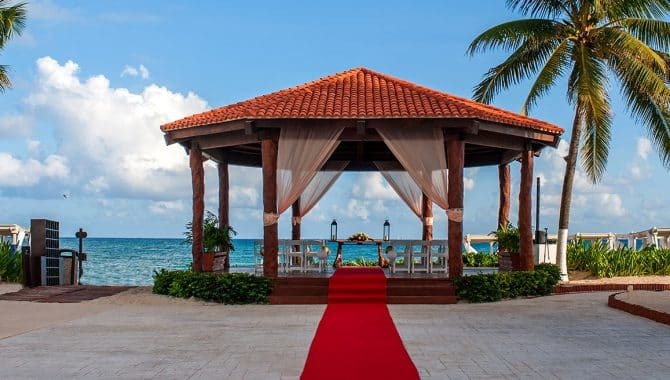 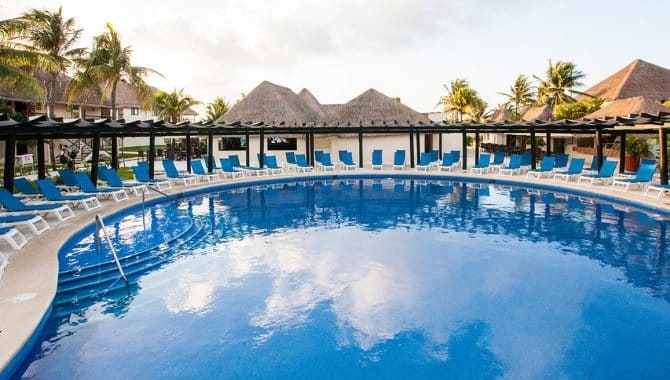 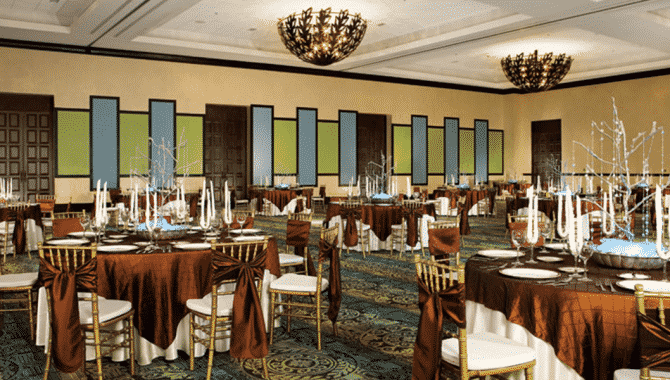 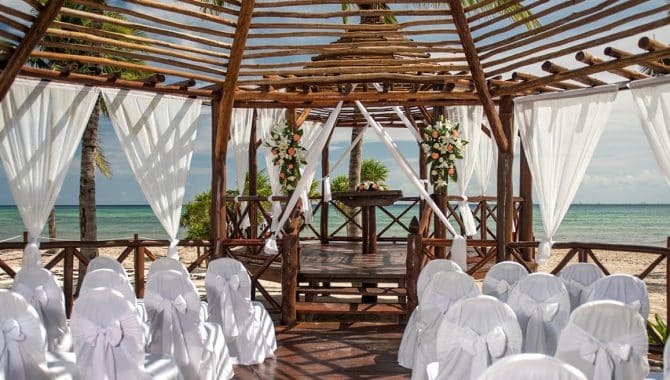 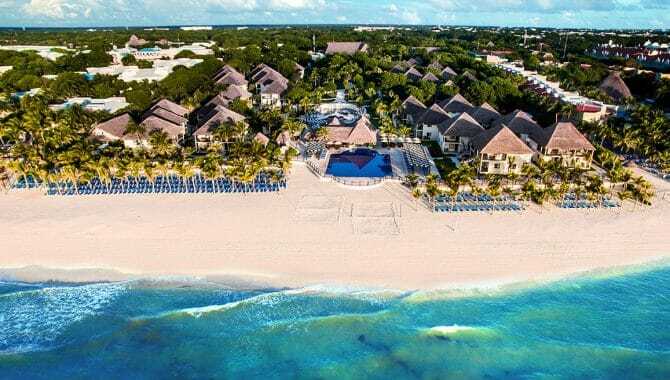 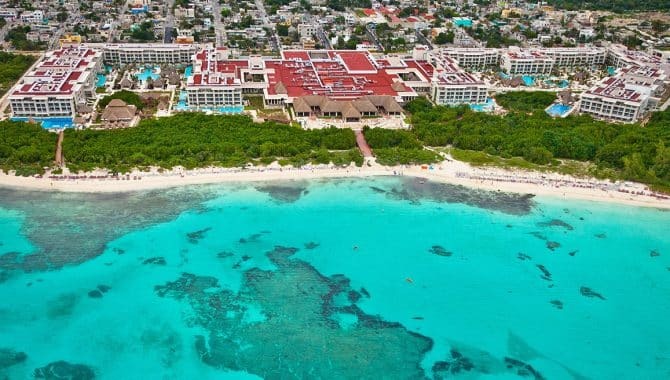 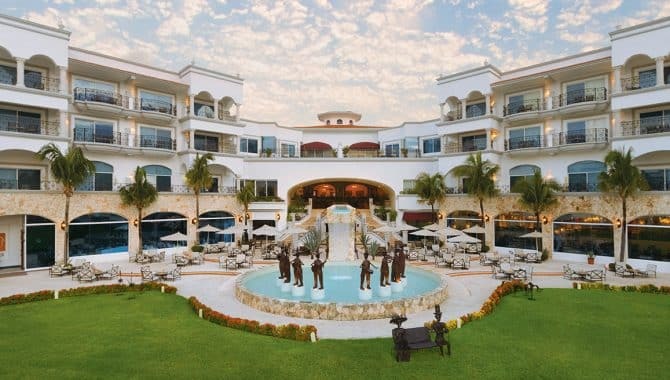 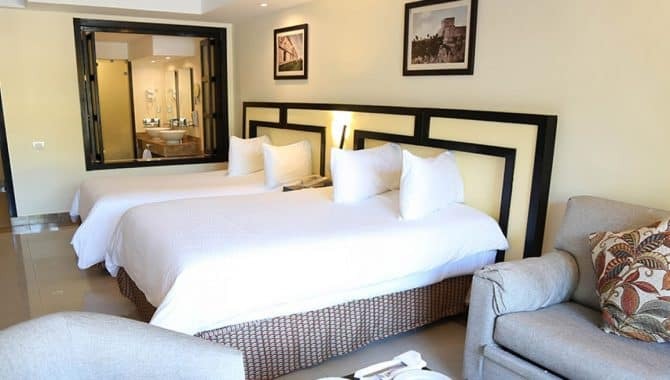 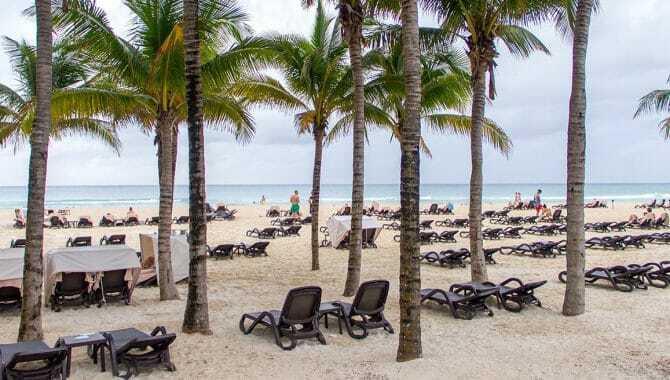 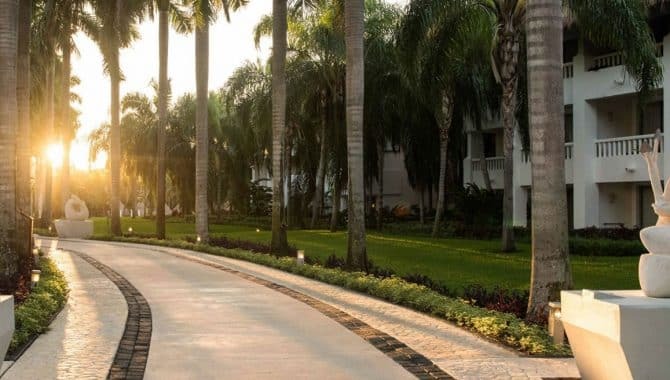 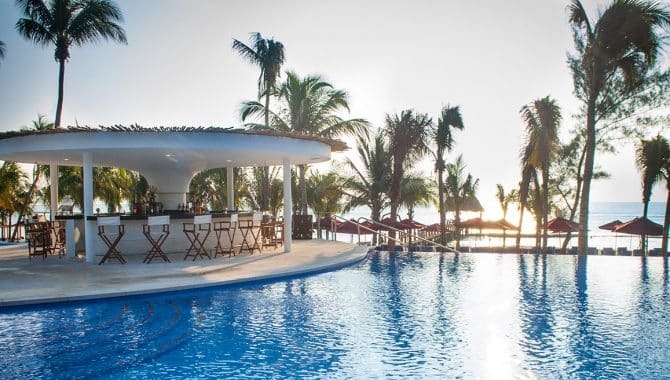 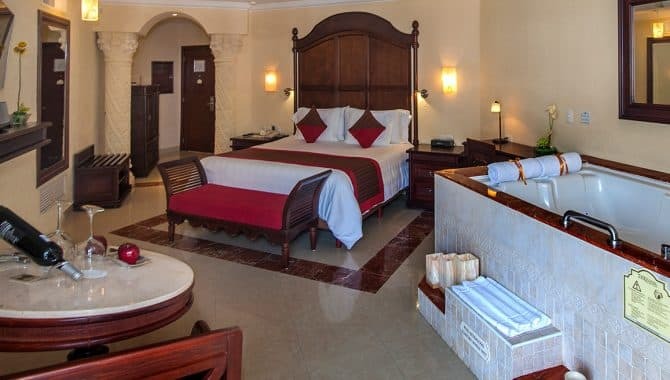 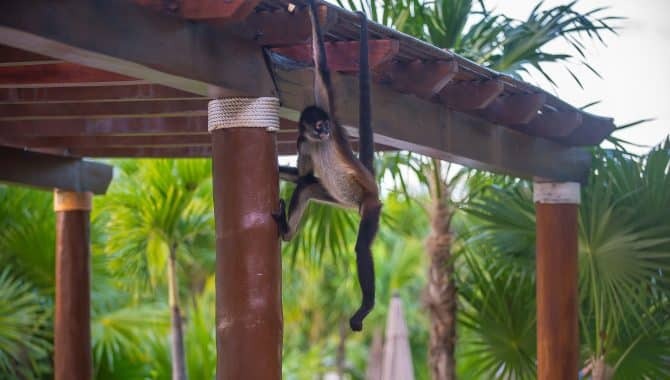 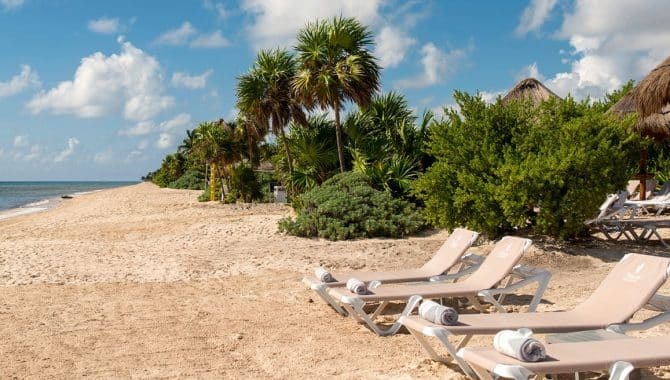 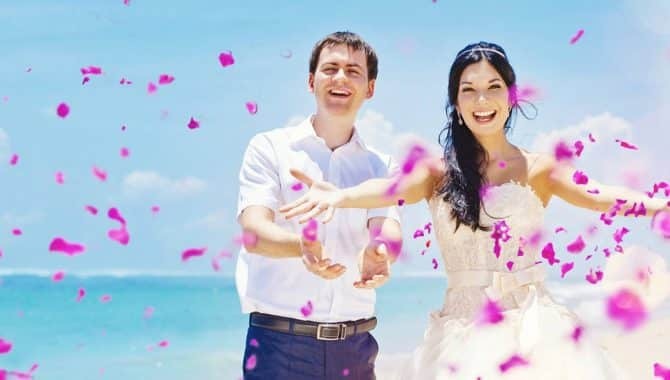 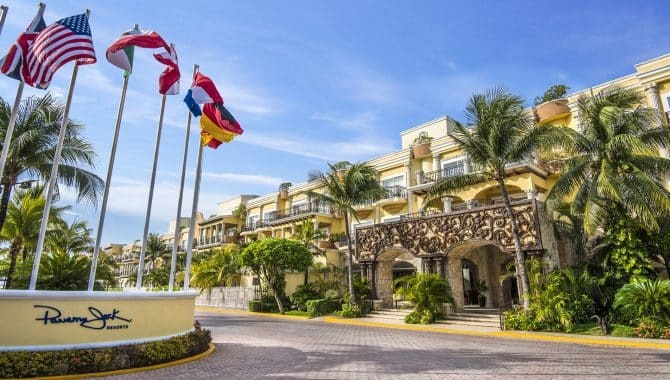 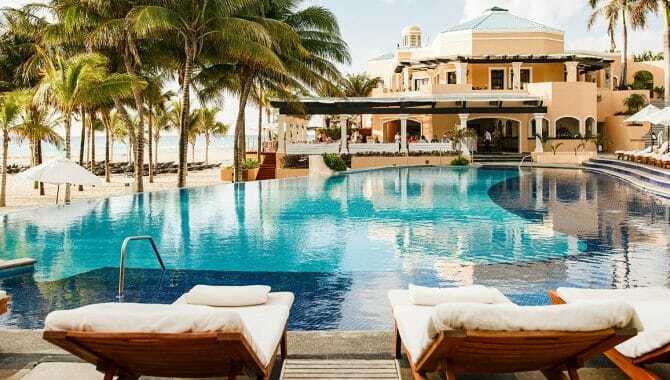 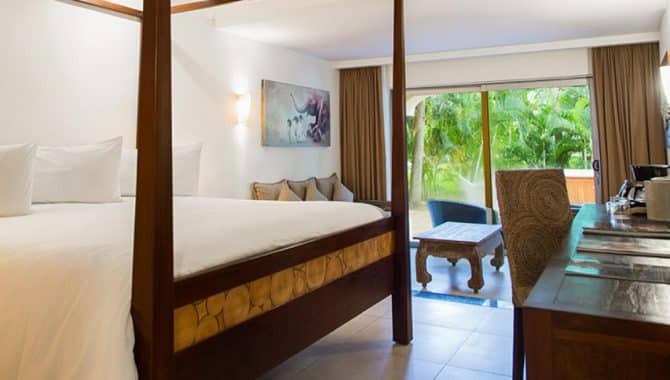 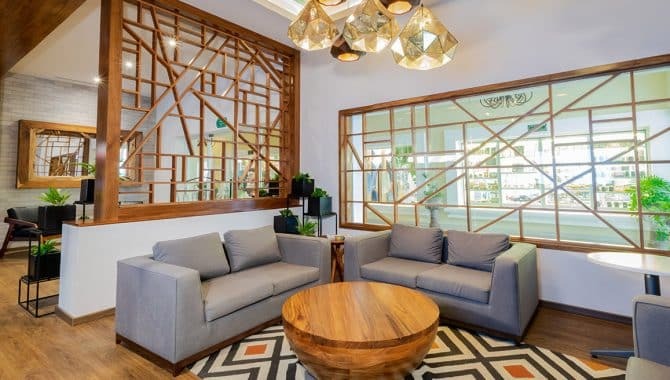 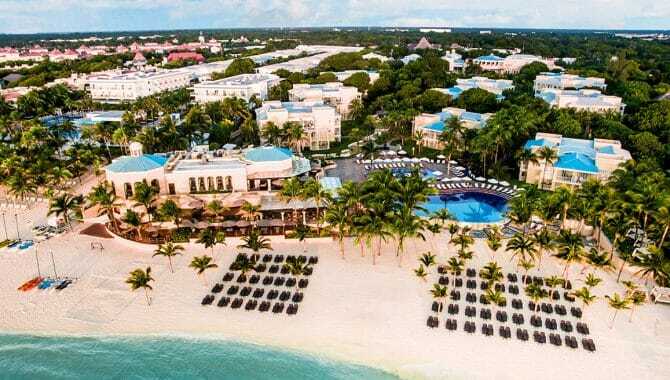 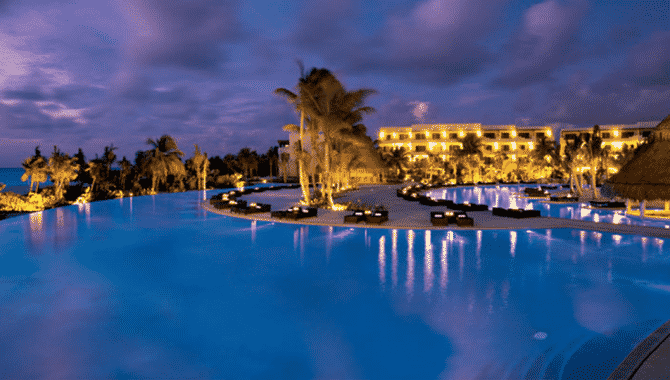 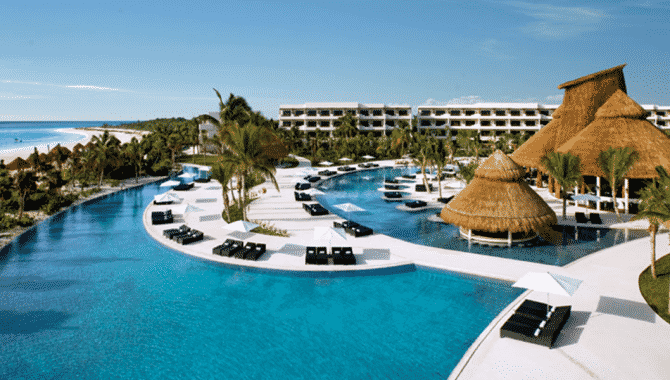 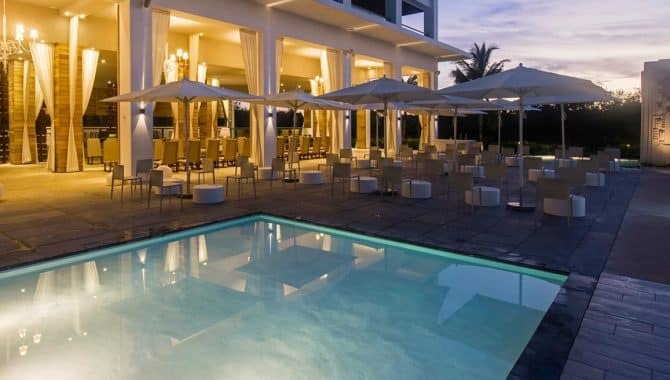 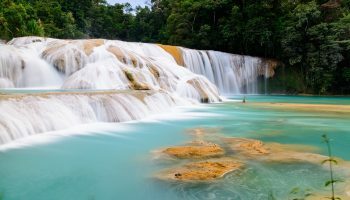 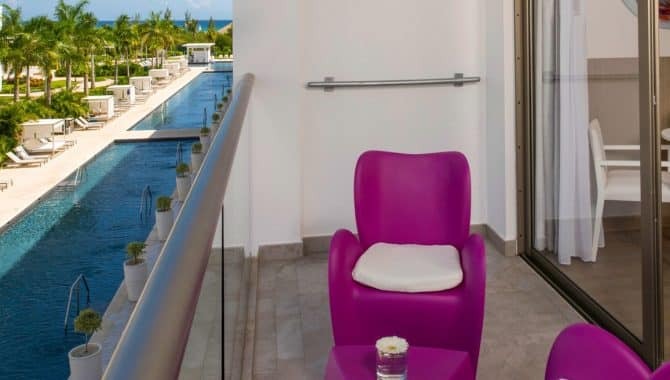 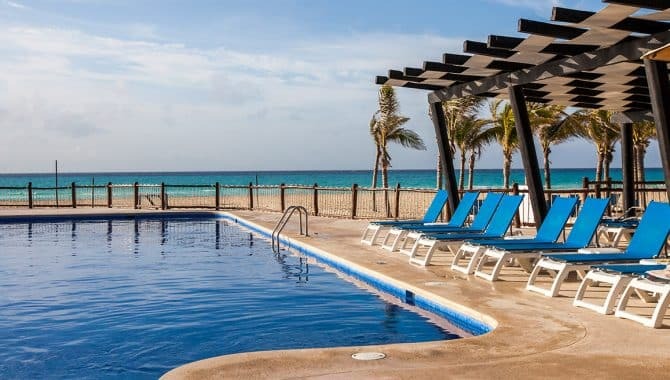 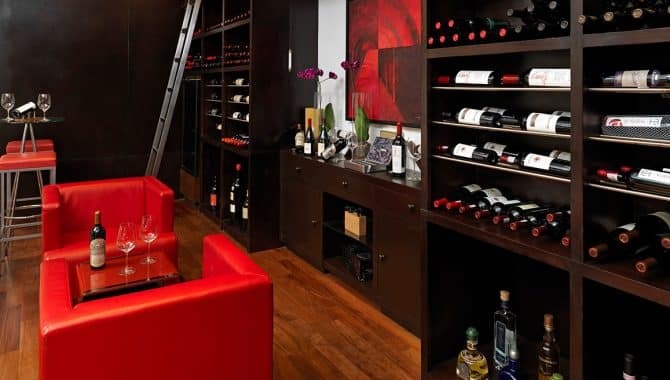 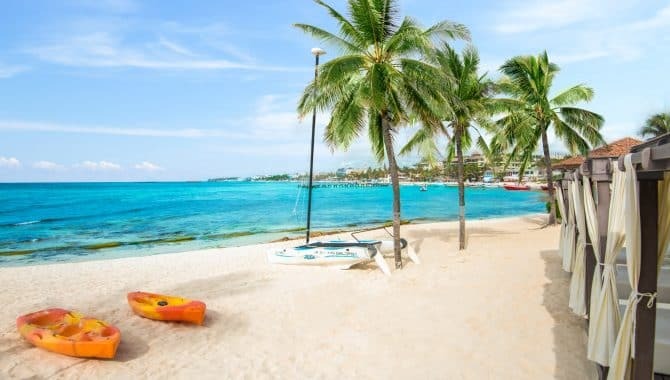 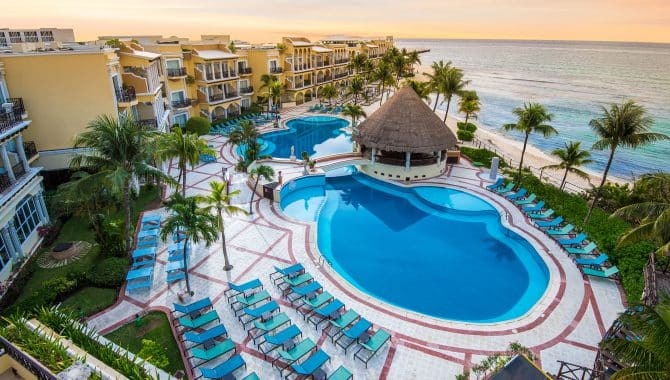 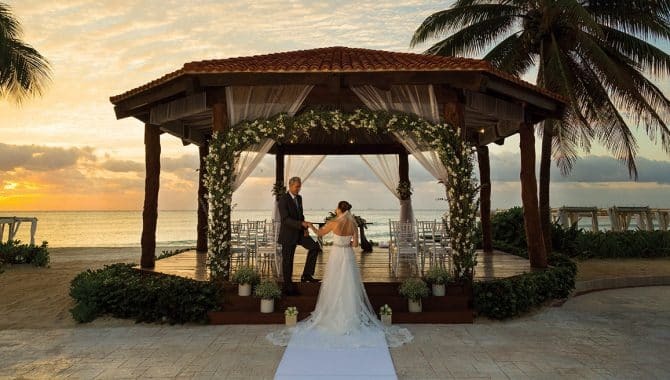 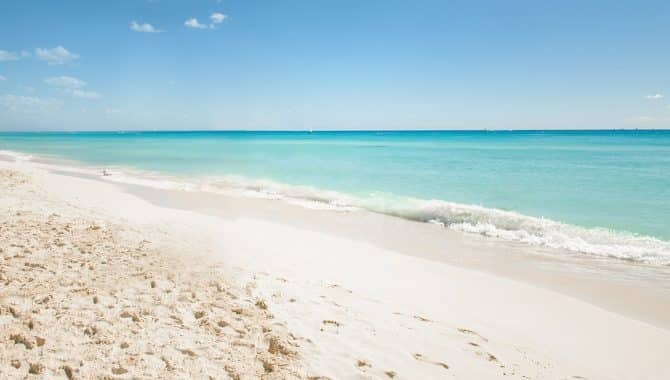 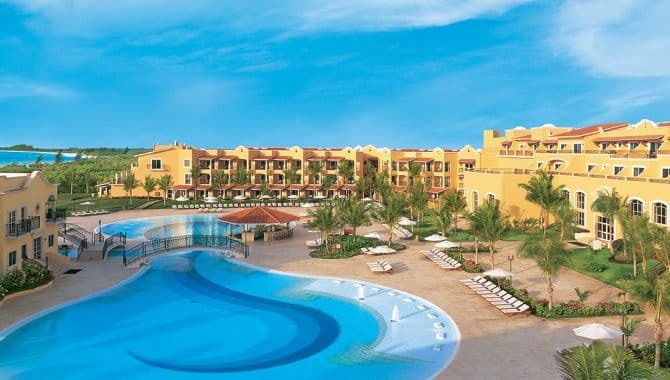 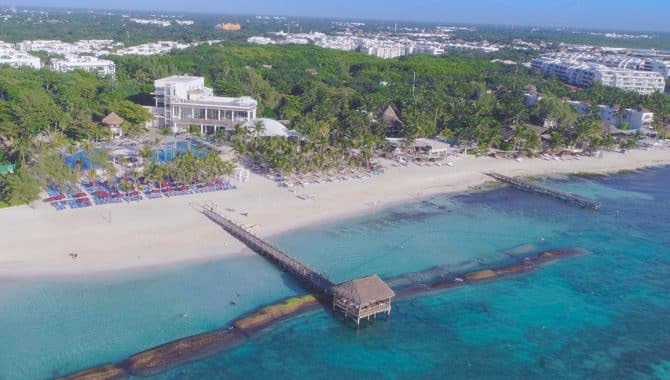 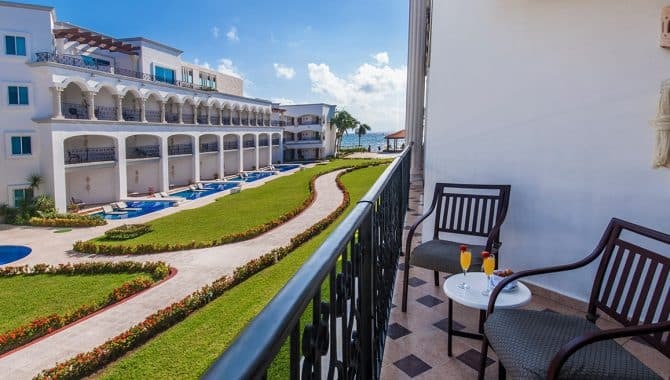 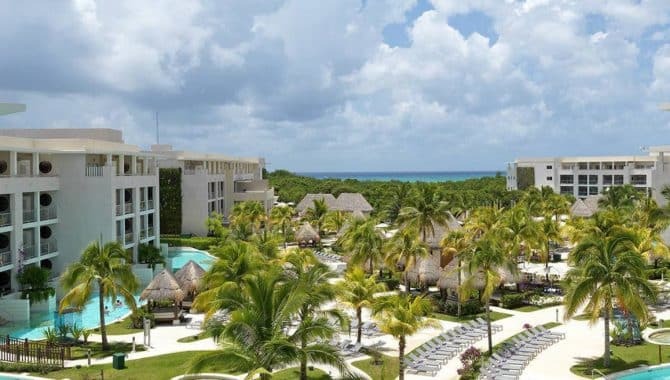 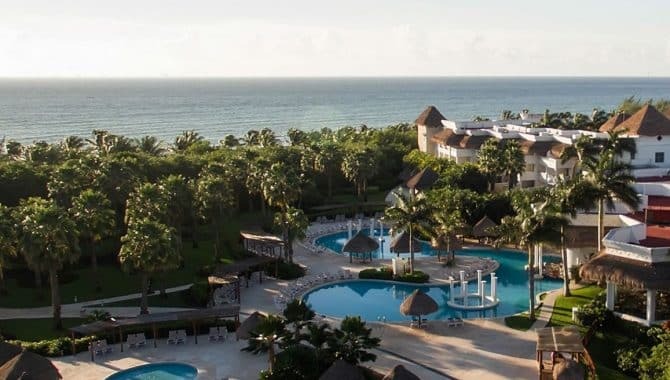 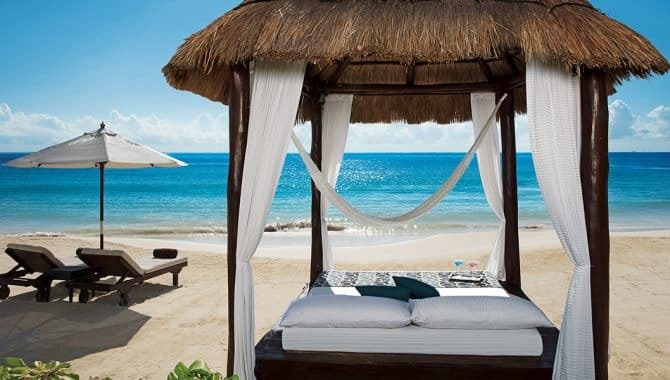 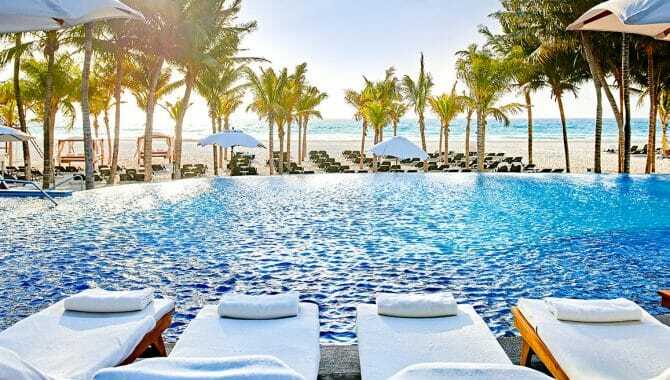 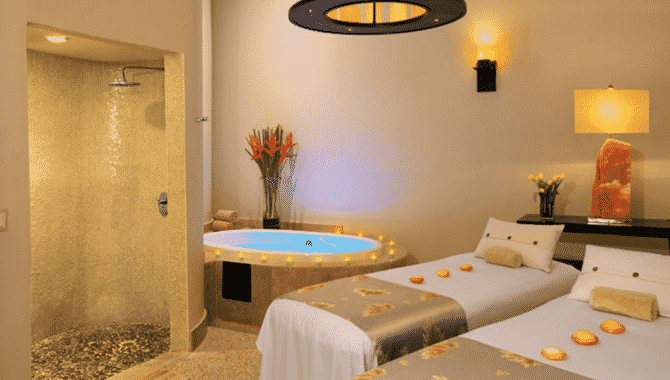 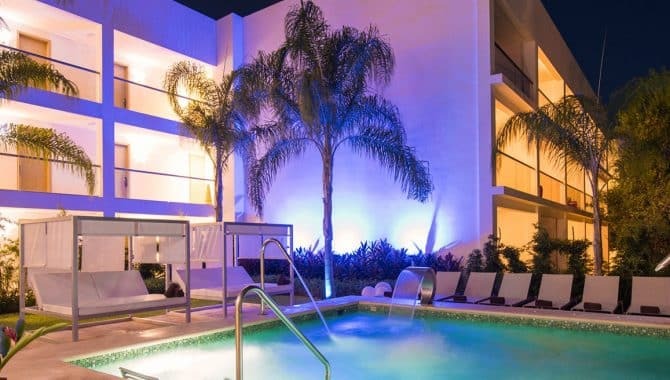 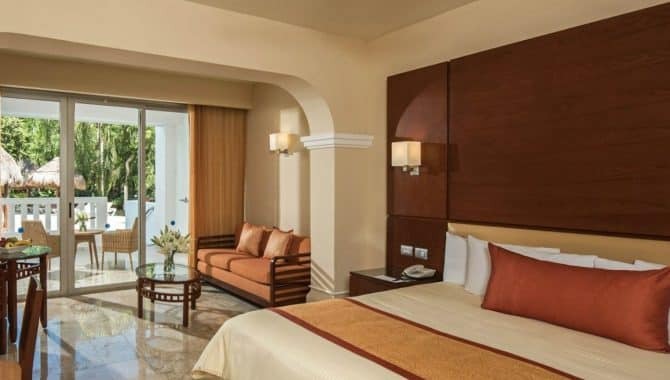 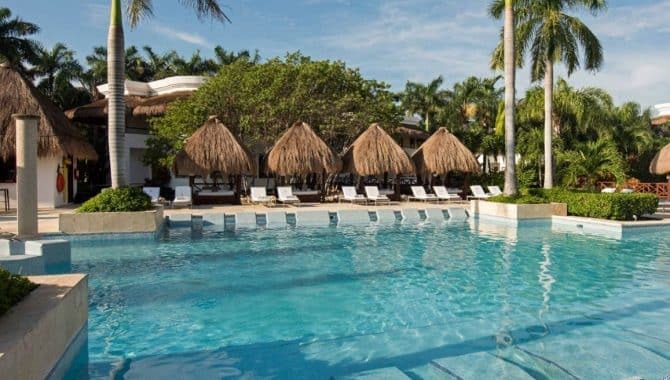 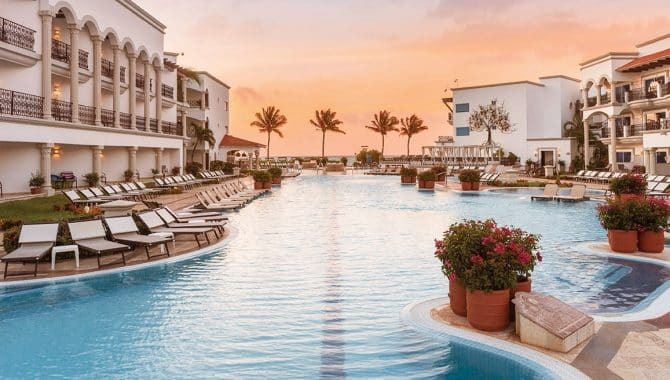 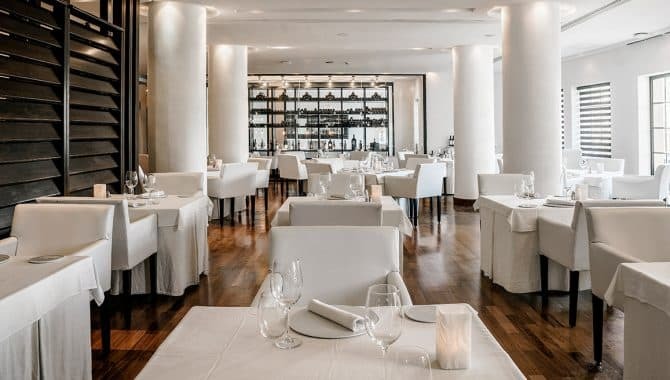 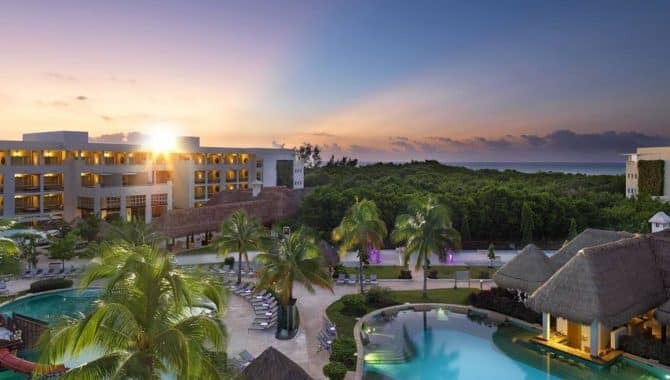 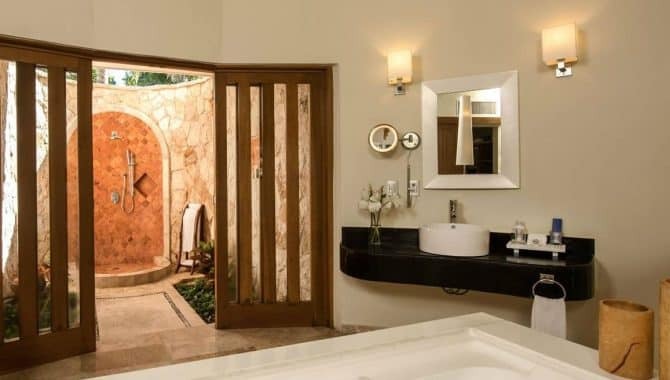 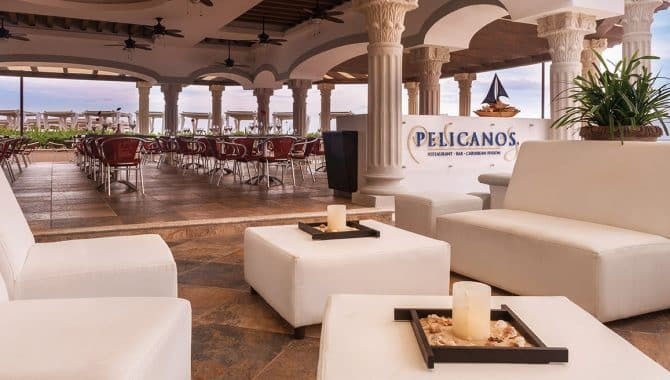 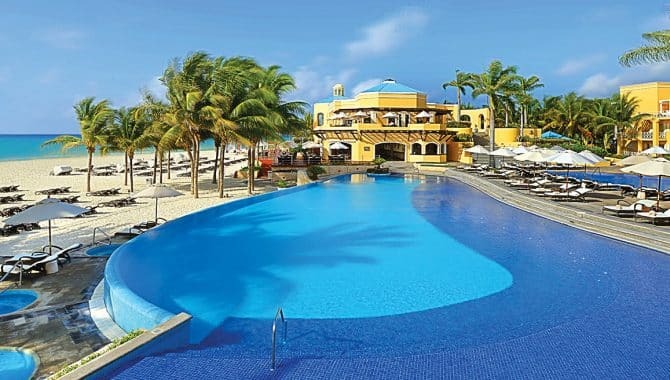 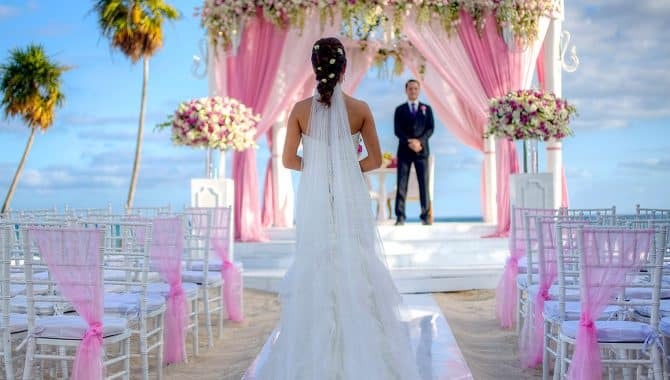 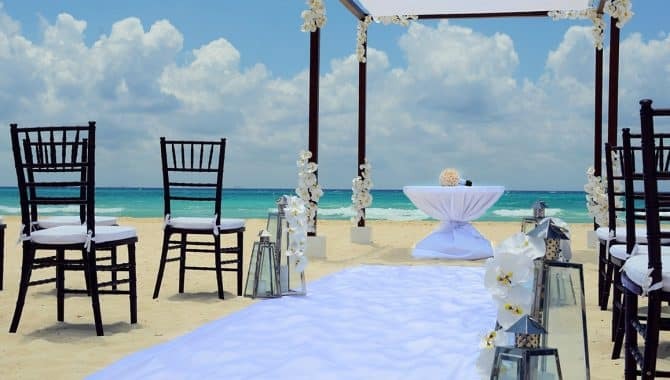 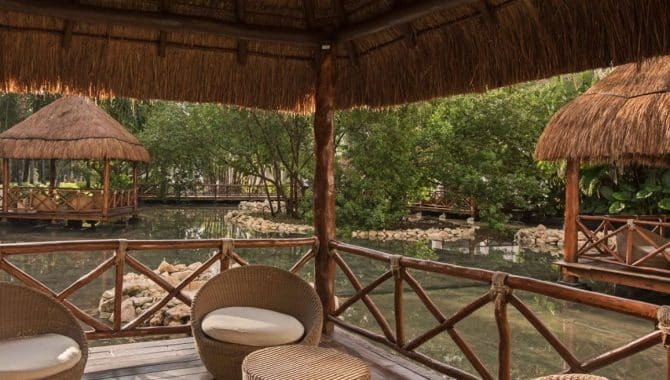 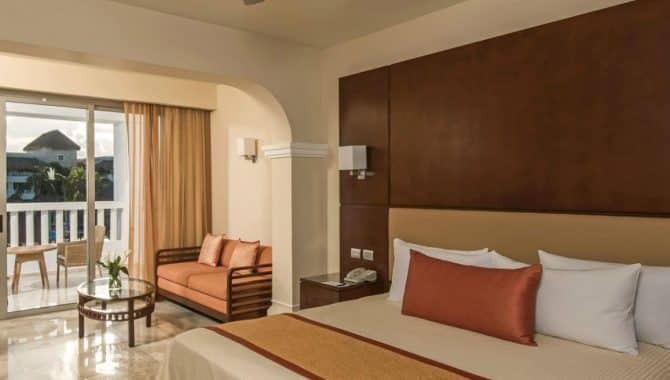 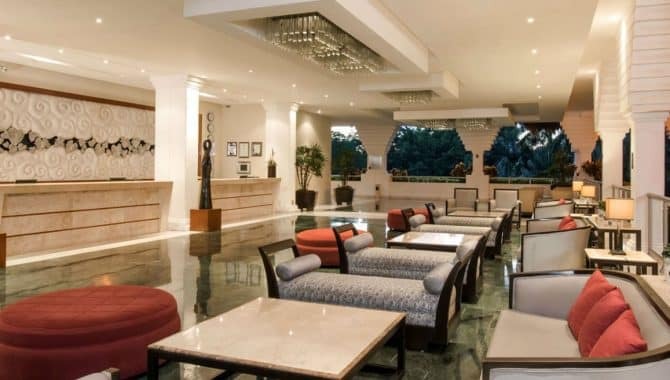 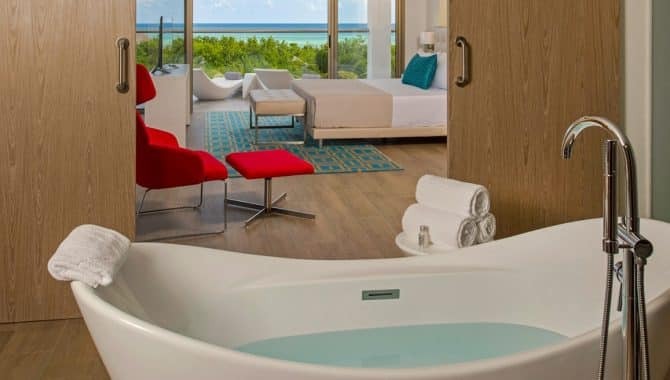 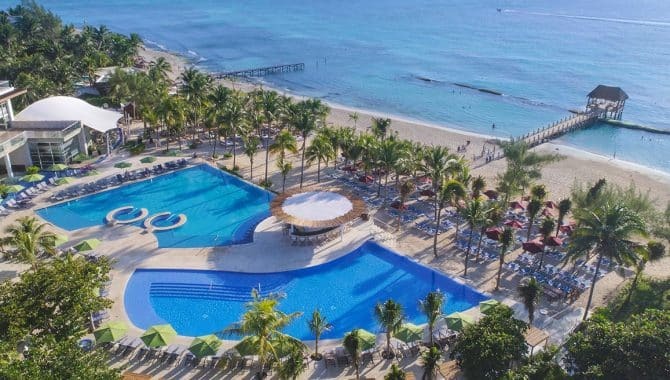 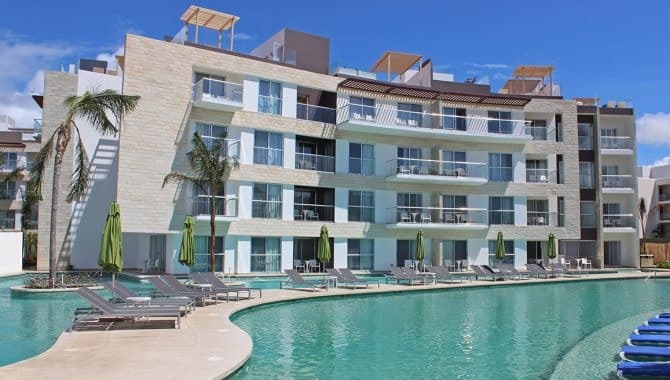 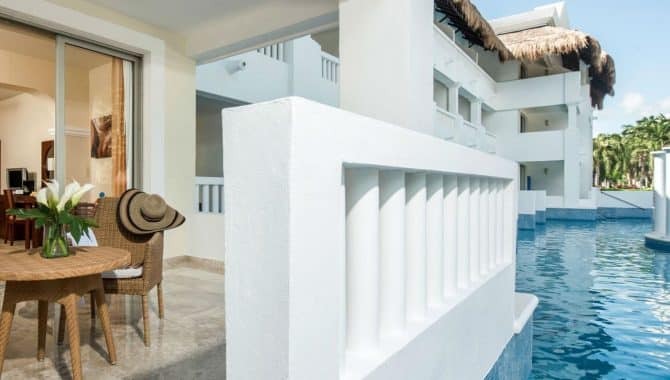 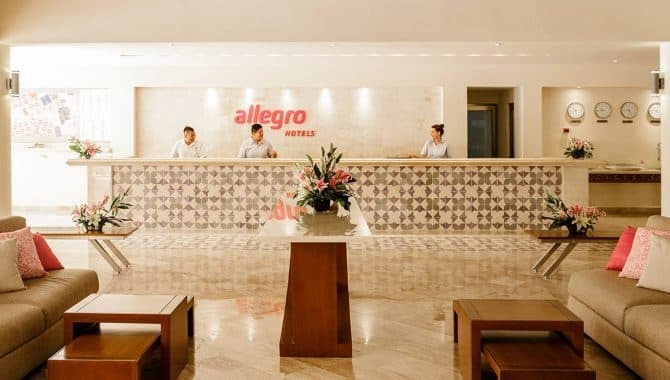 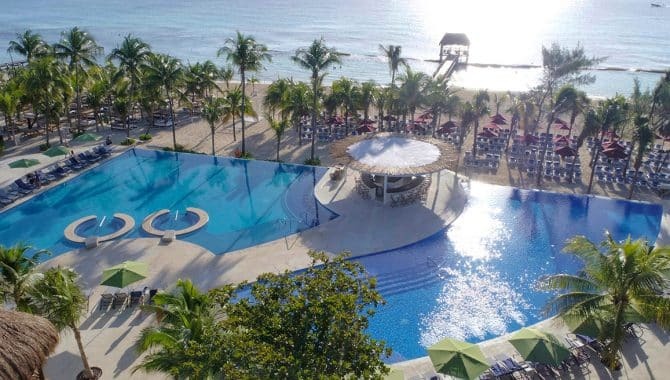 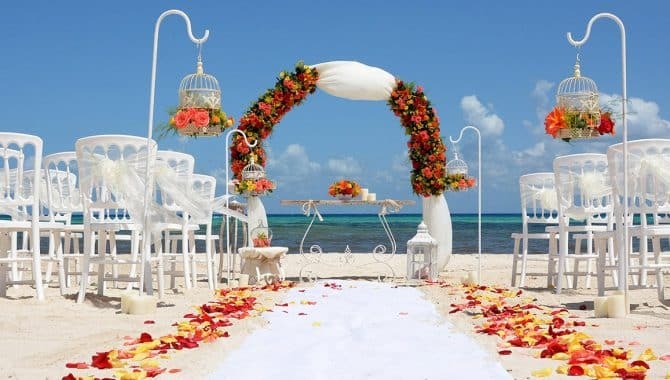 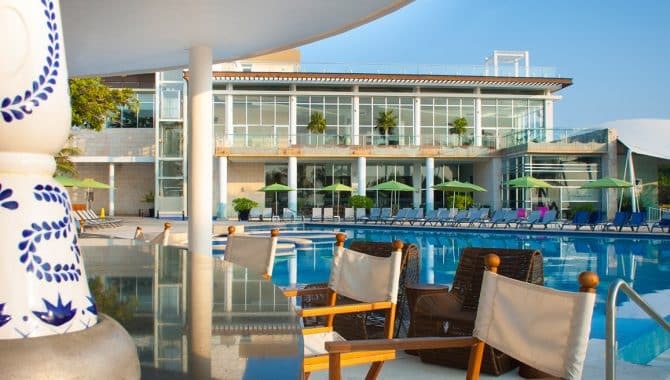 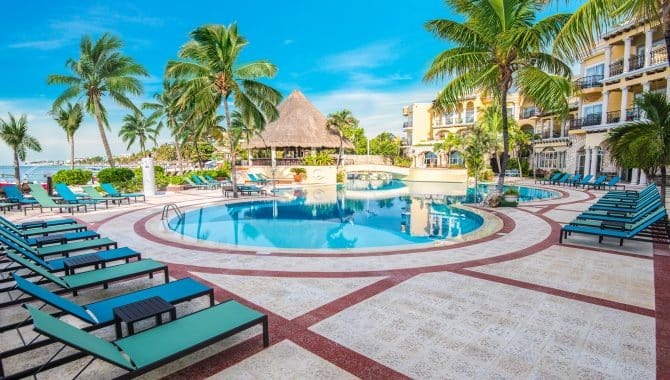 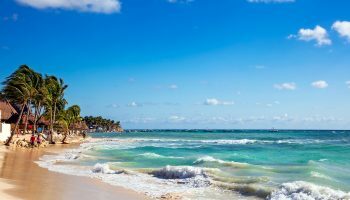 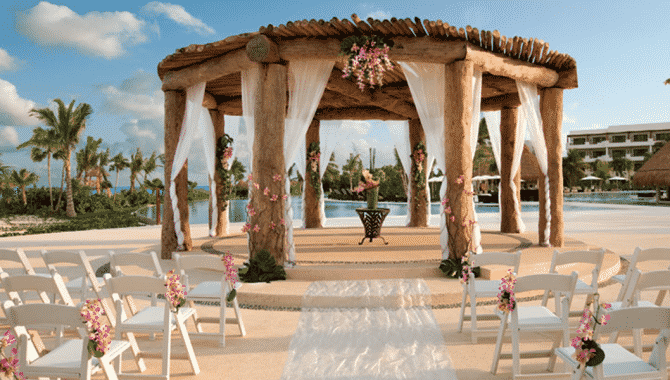 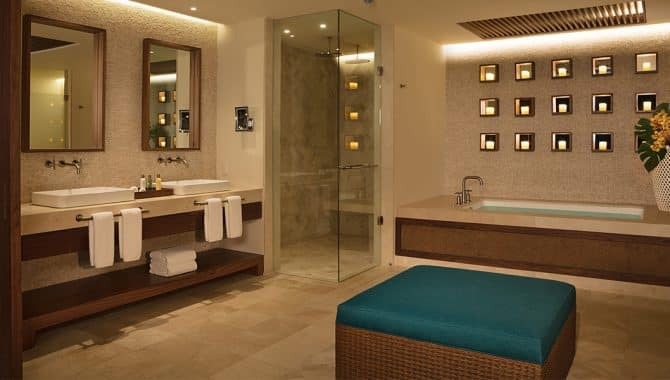 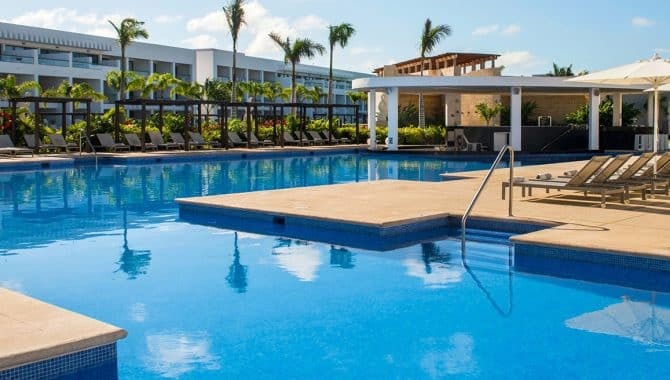 Staying in an all-inclusive resort in Playa del Carmen means you have access to all that the city offers plus the added convenience of never needing to open your wallet while in the resort. 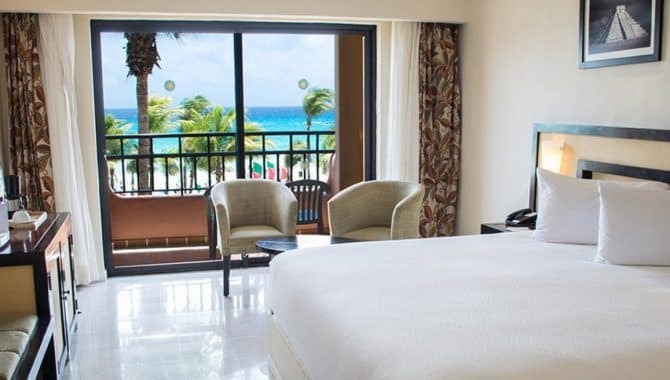 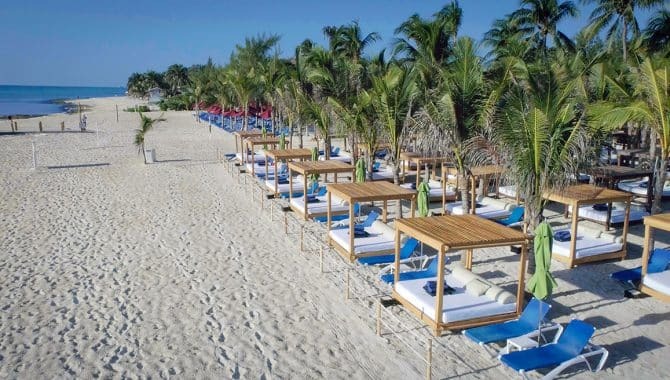 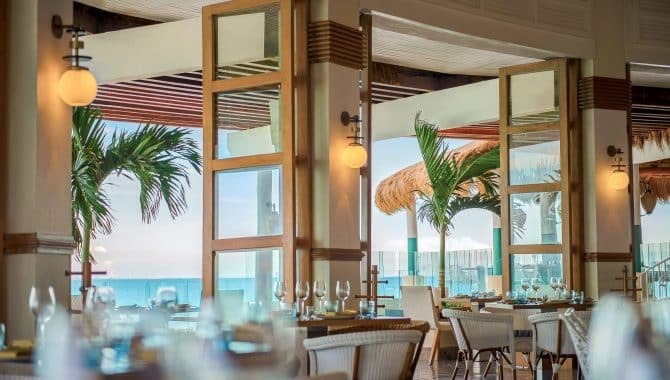 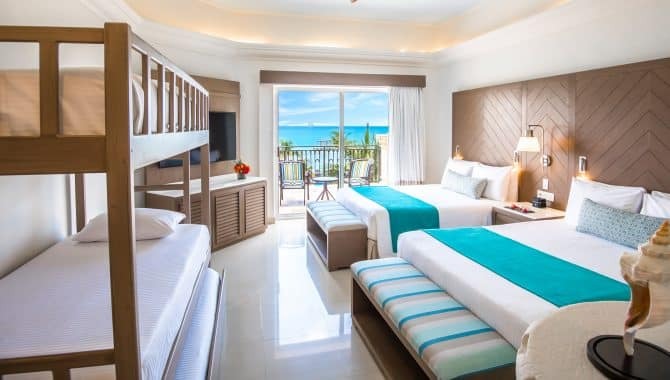 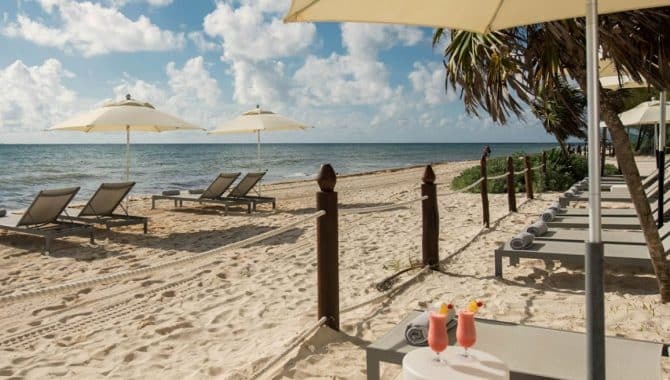 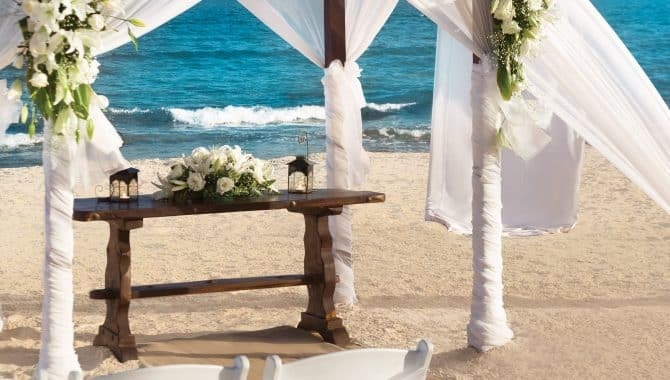 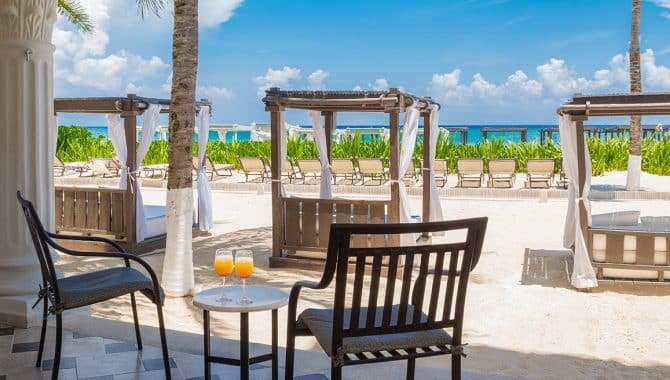 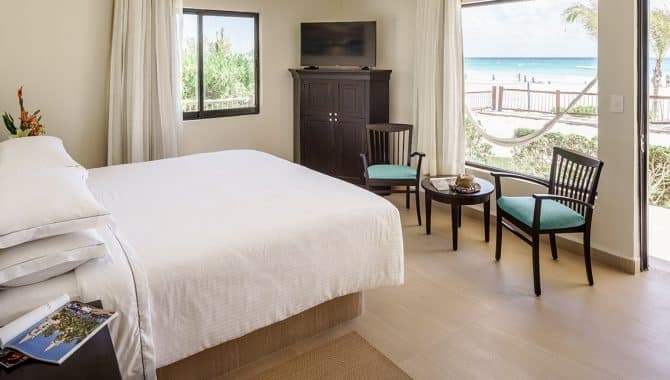 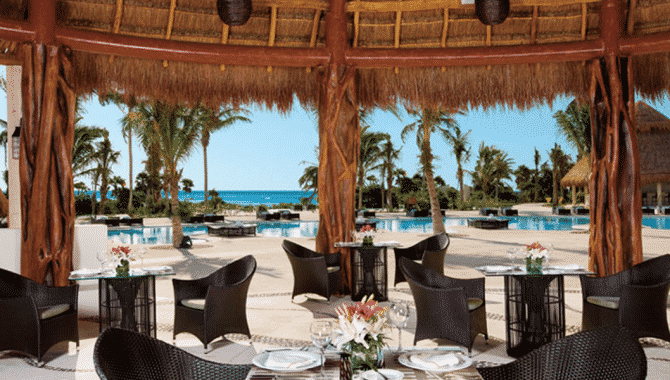 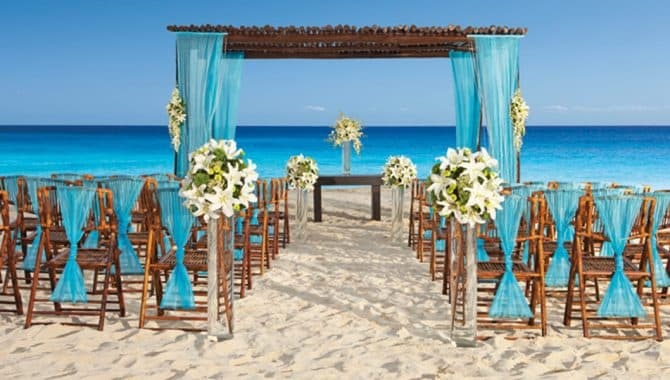 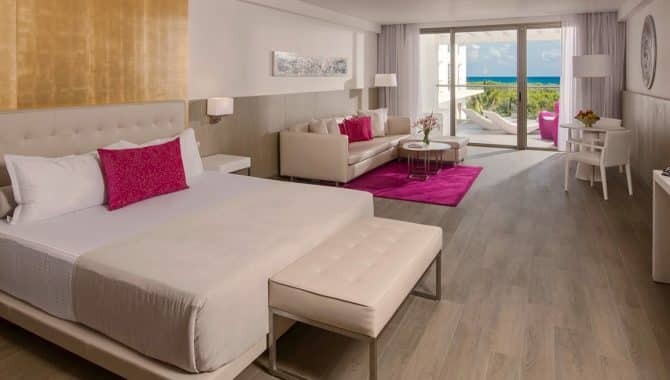 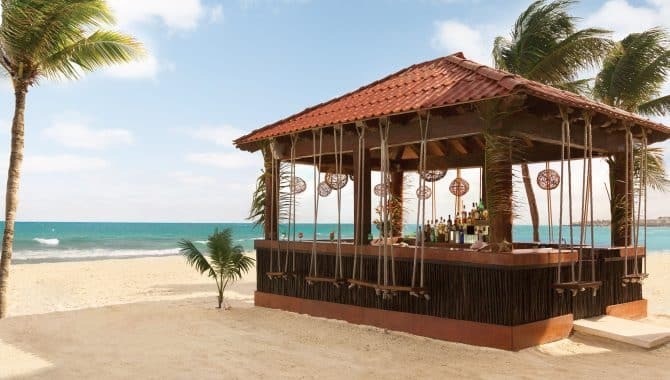 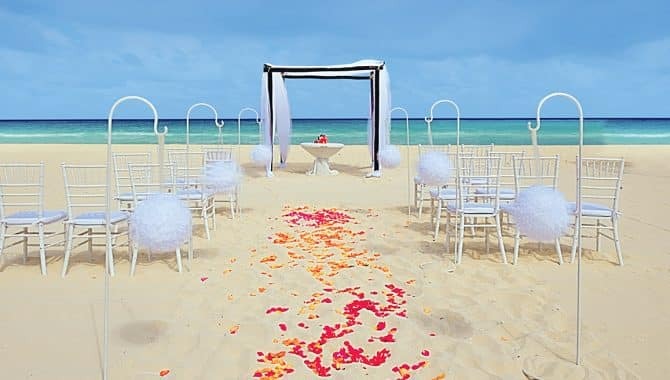 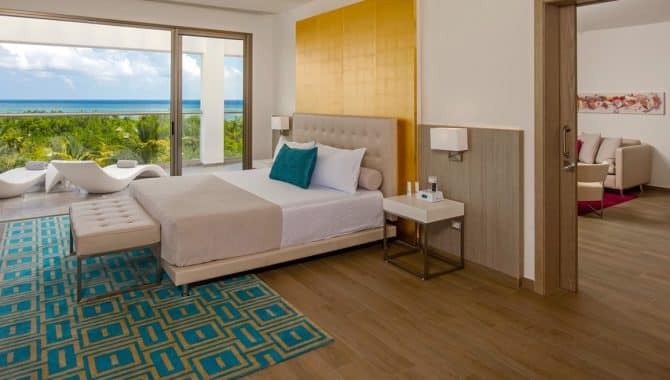 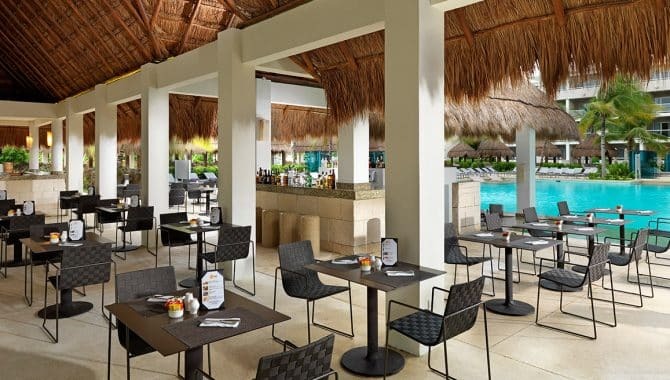 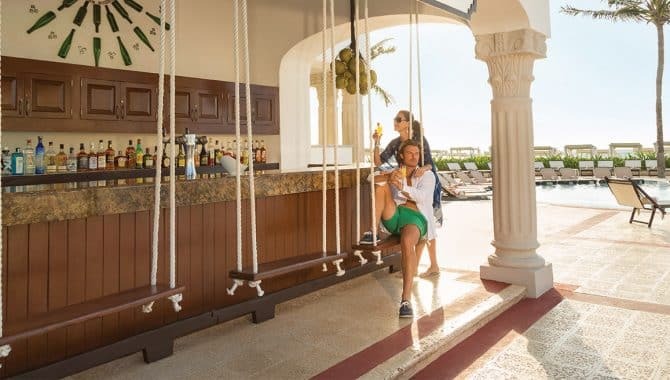 Enjoy accommodations—both value and luxury—tasty food and drinks and a beach with amenities right outside your room at an all-inclusive resort in Playa del Carmen. 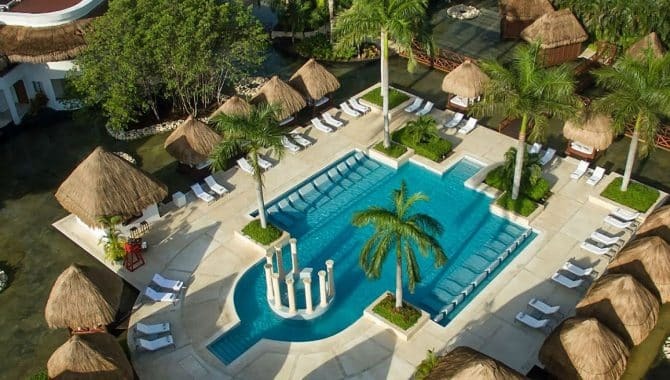 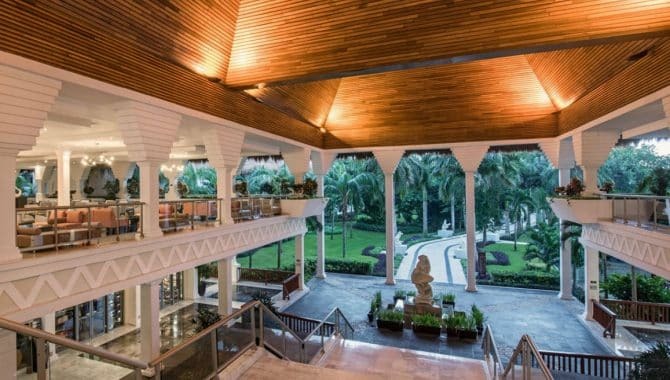 Packed with unique features and attractions, this five-star resort offers something for the whole family. 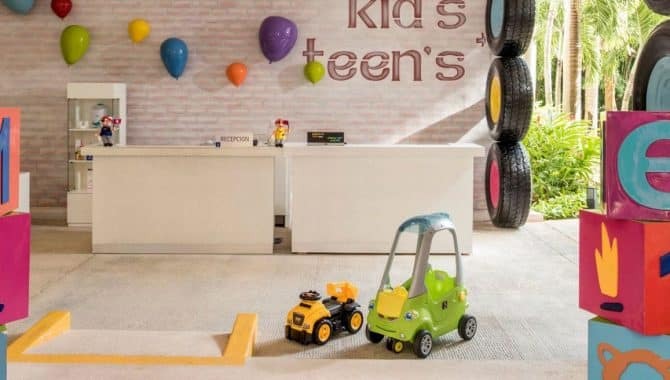 Kids are sure to love the game room and mini club, which provides exciting daytime activities for children between the ages of four and 12. 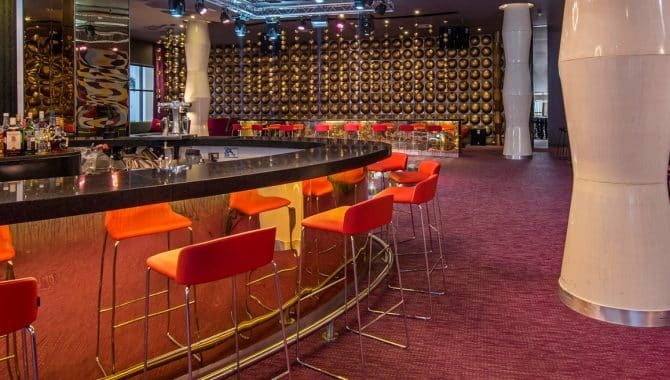 There are also nighttime entertainment options, featuring a mini disco, theater and video game room. 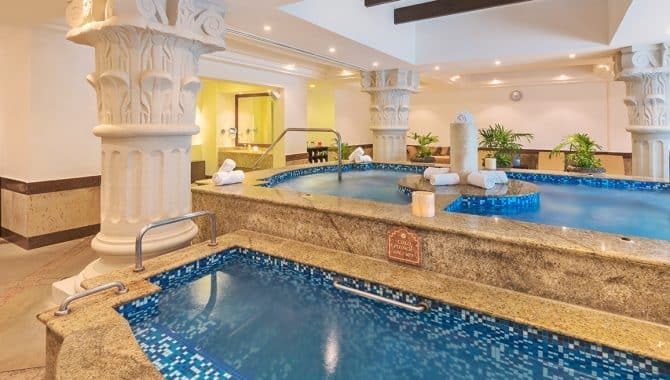 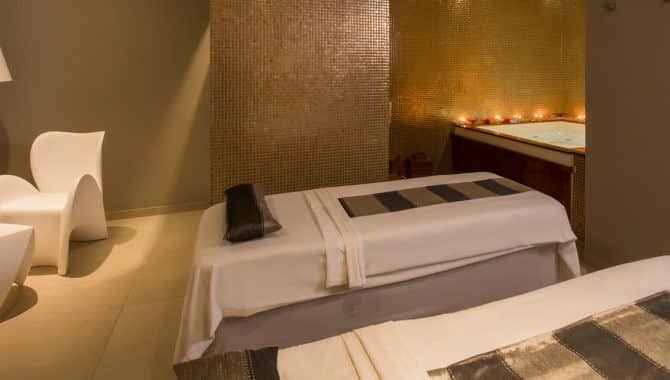 While the kids are having fun, the adults can take a moment to relax at the spa. 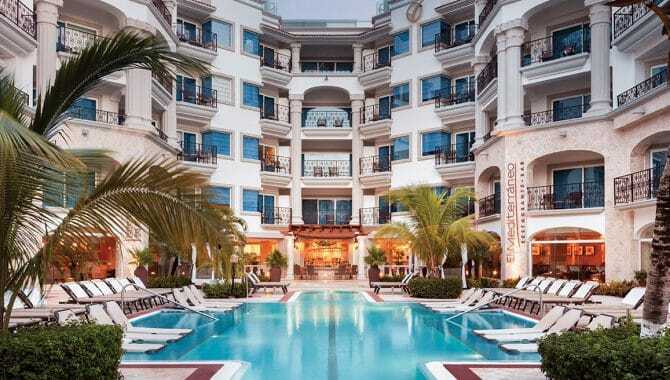 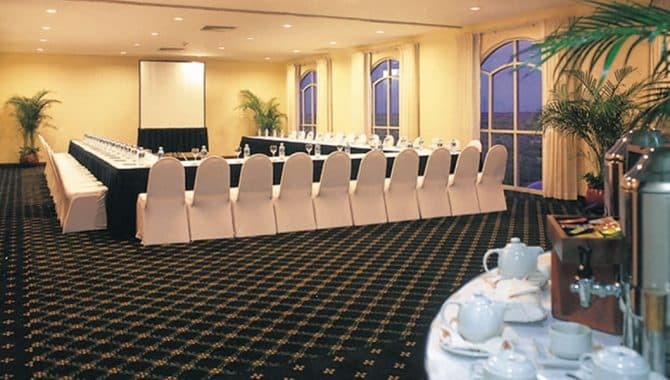 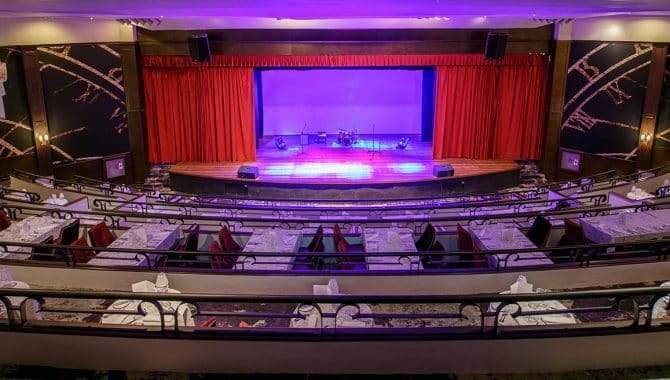 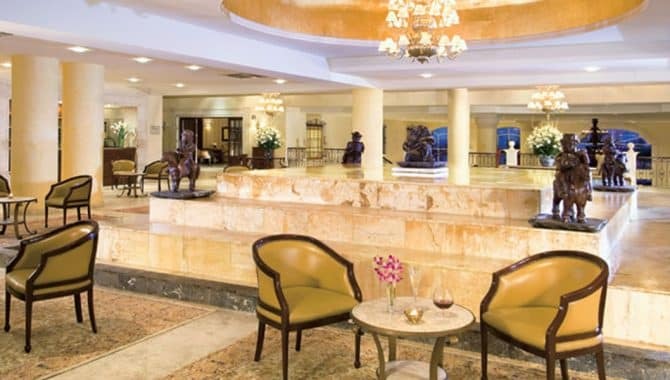 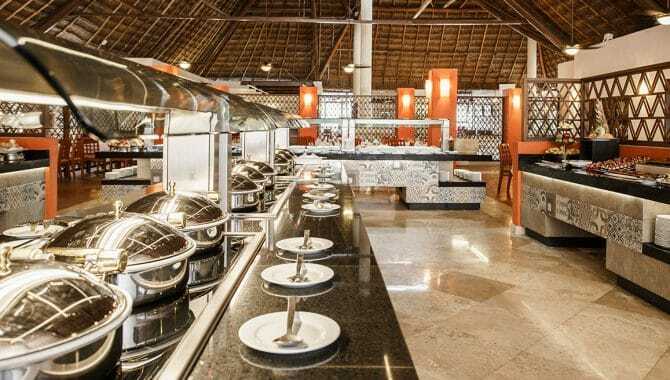 The Grand Riviera Princess Hotel features seven on-site restaurants and nine bars. 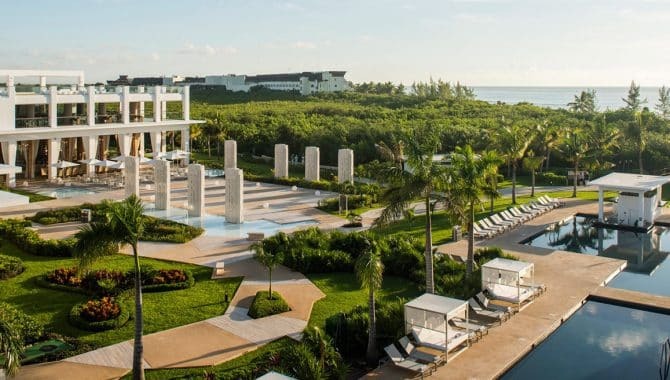 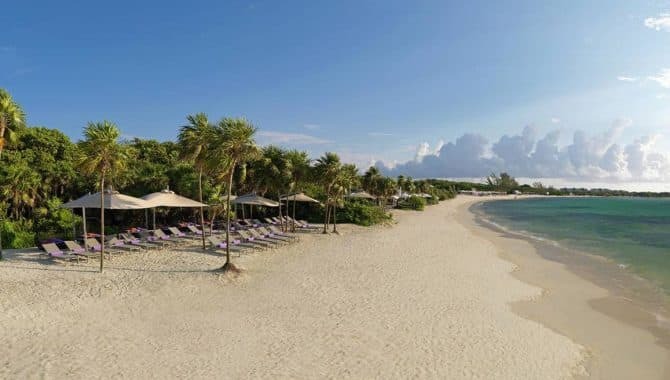 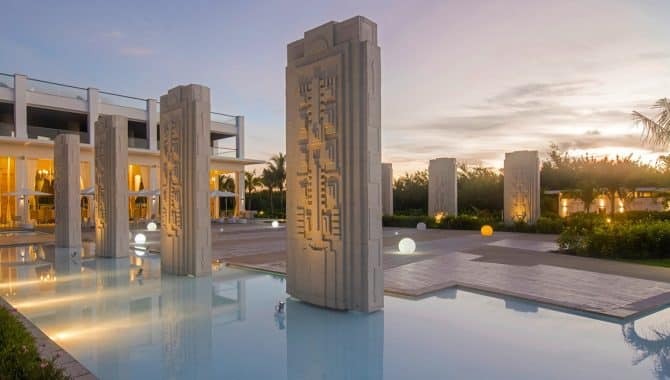 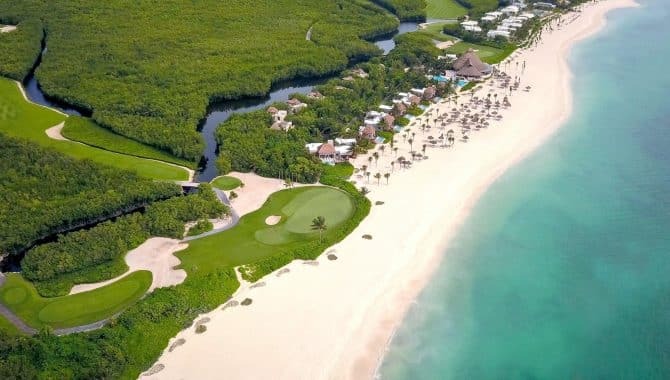 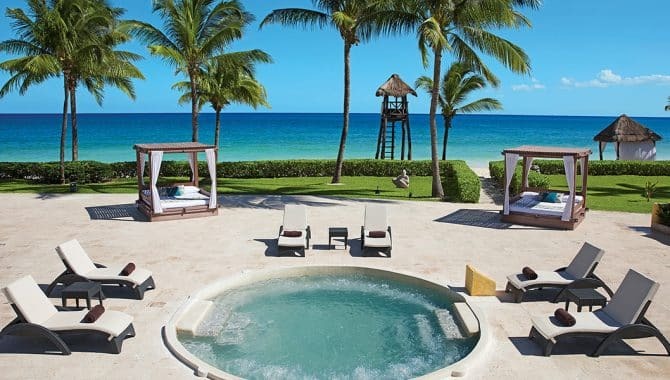 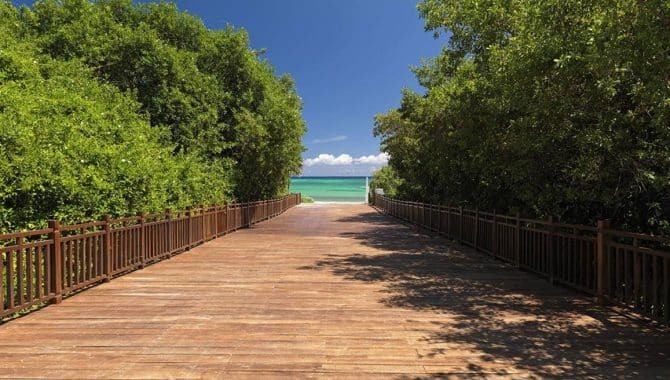 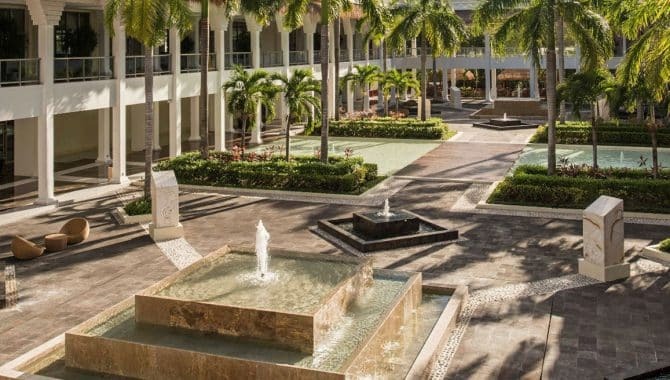 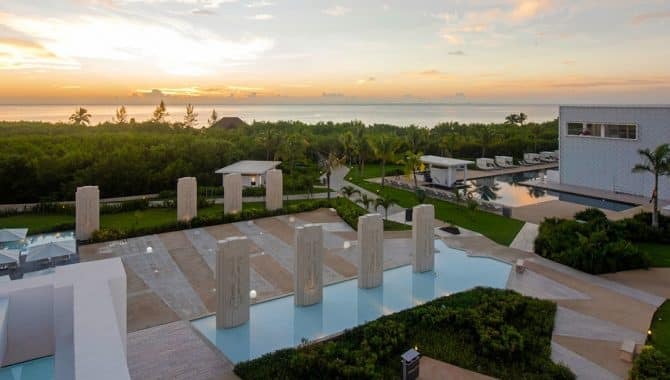 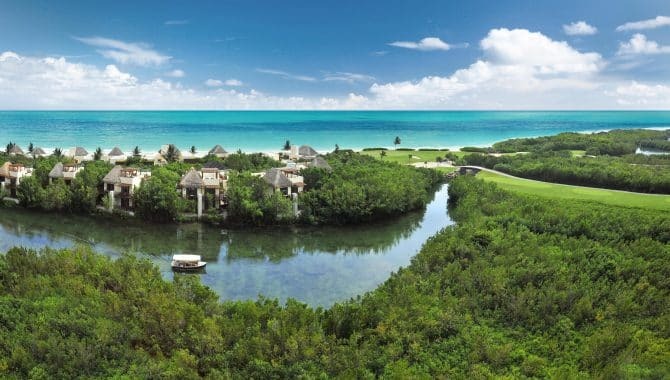 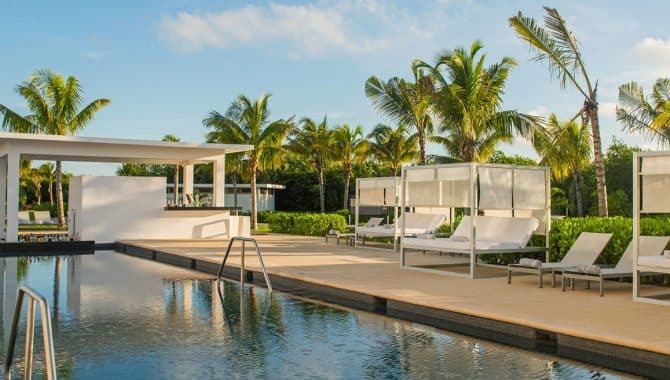 There are also 16 swimming pools and to access the beautiful Caribbean sea, guests walk through the Avenue of Gods—a collection of statues that line the pathway to the beach. 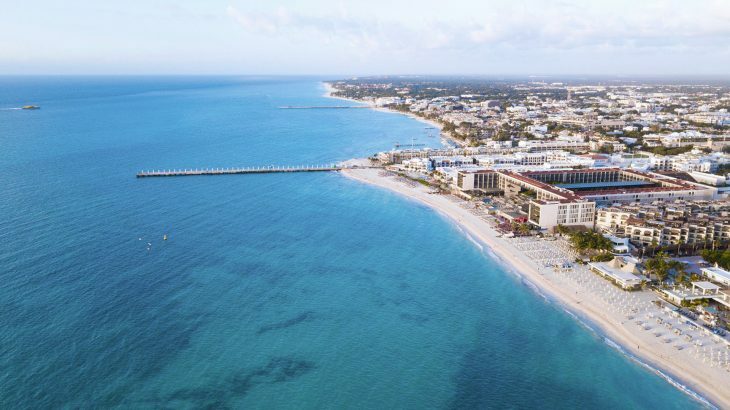 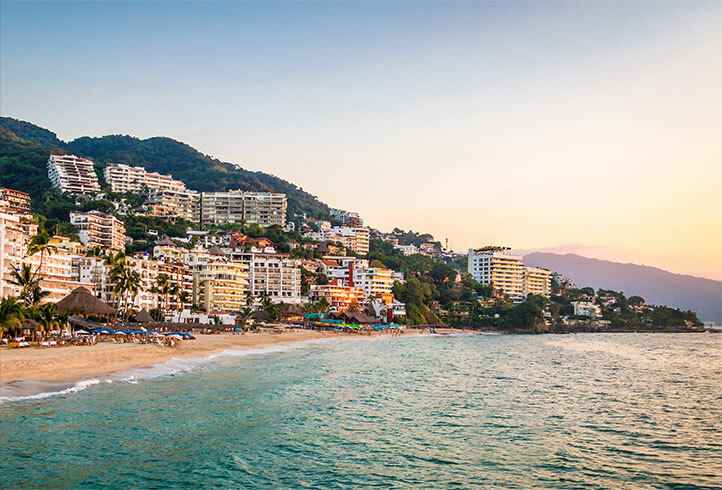 From beach volleyball to jet skis, there’s plenty of opportunities to enjoy the seaside during your stay. 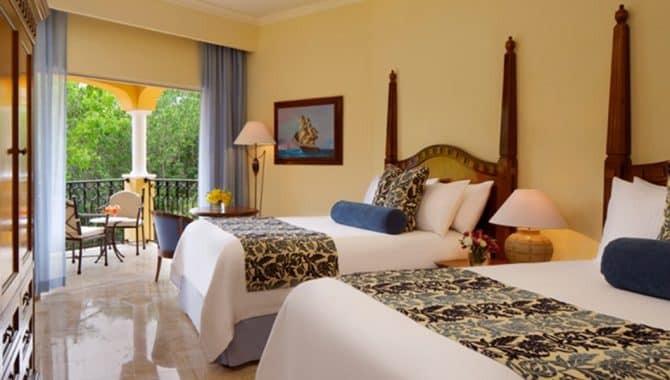 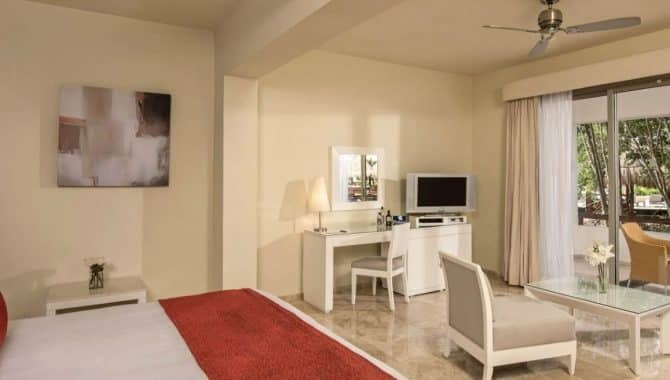 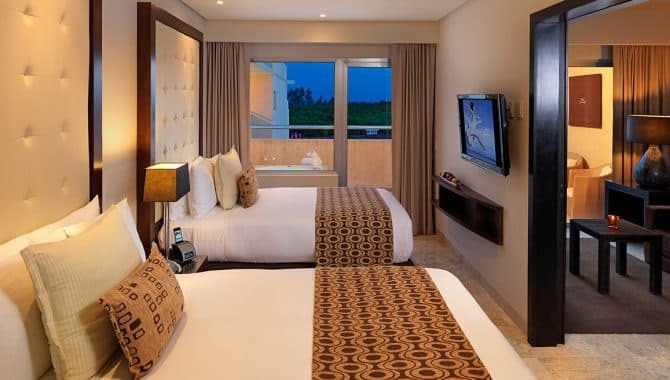 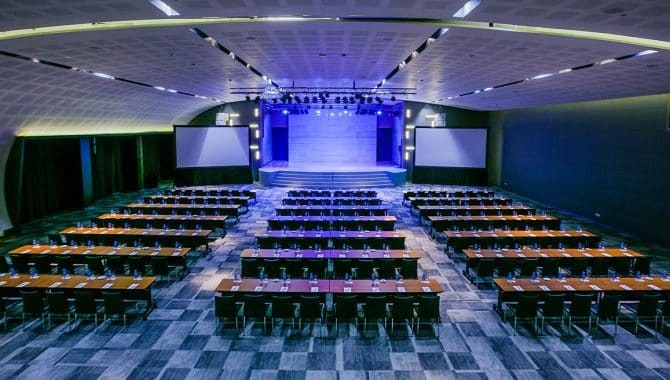 The resort features 674 rooms with seven different accommodation options. 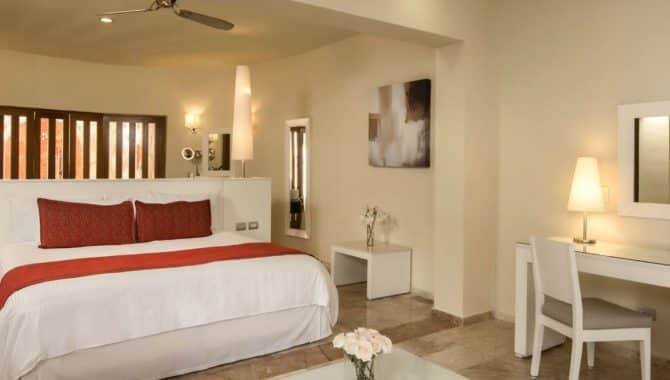 Each level offers its own set of perks, but all of the rooms have WiFi access. 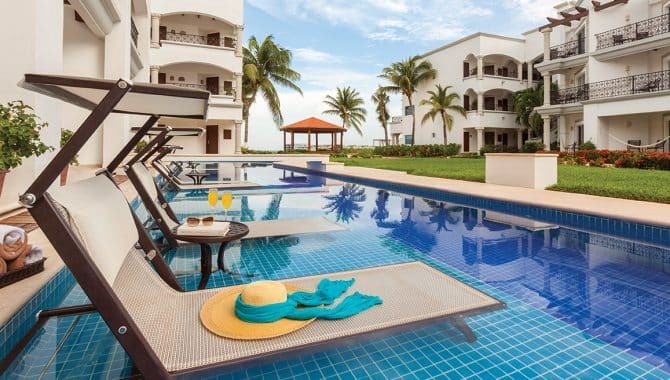 The unique Family Club Room is available in standard and swim-out options. 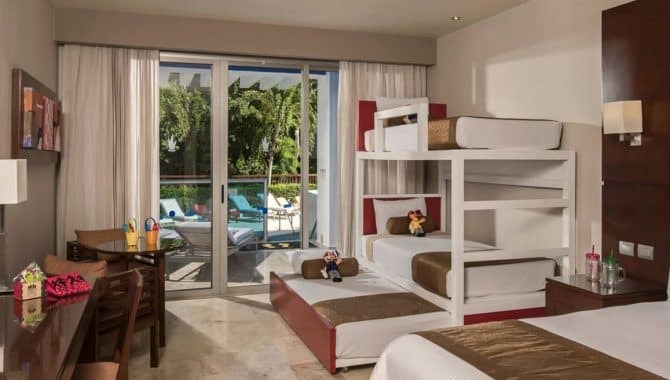 By choosing this room style, guests gain access to all of the Grand Riviera Princess’ Family Club amenities, including a special section of the resort dedicated to family fun. 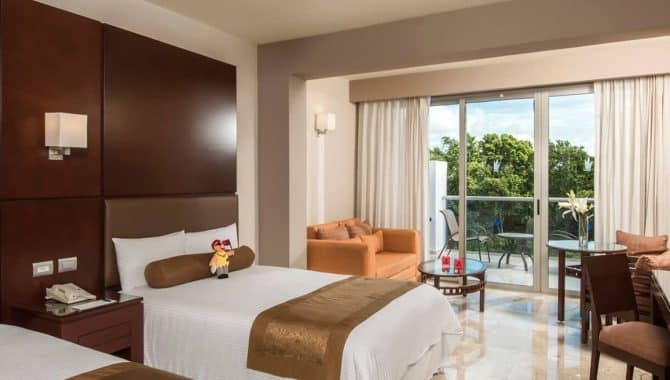 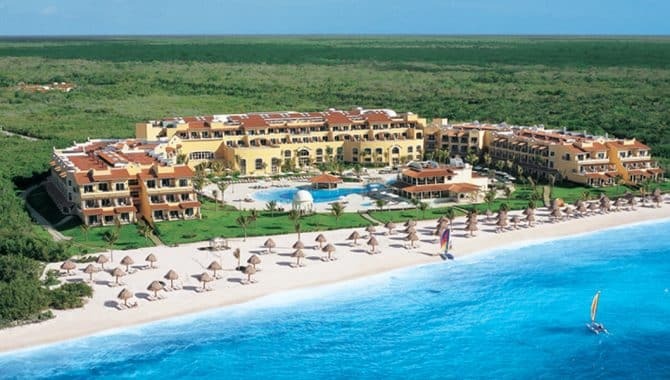 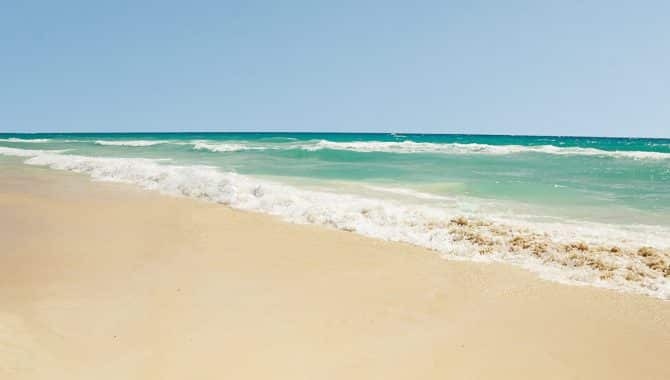 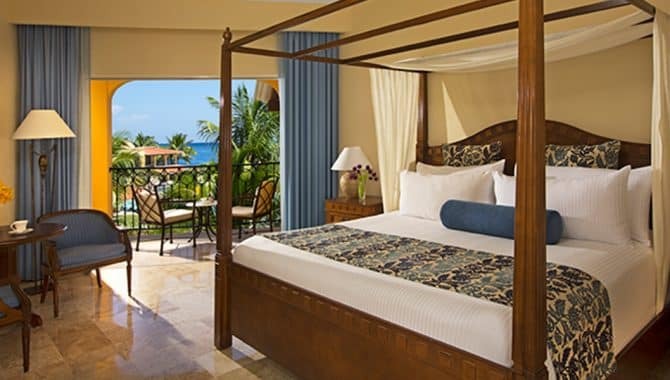 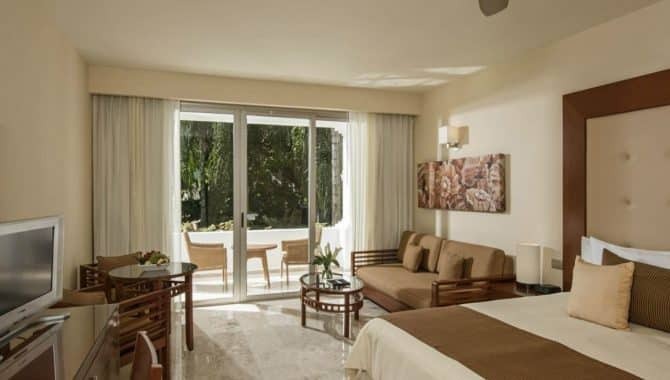 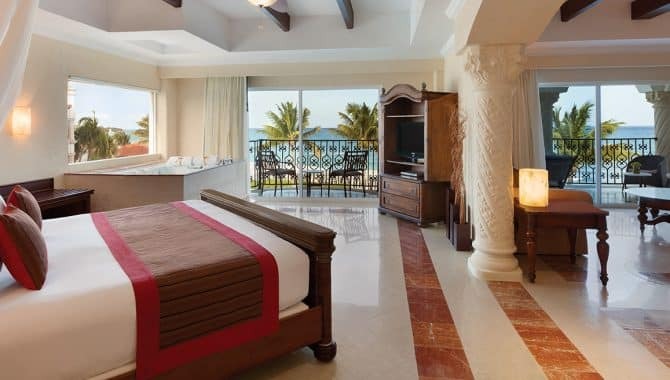 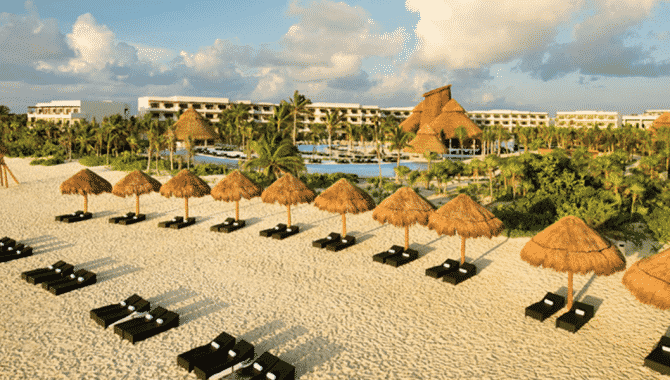 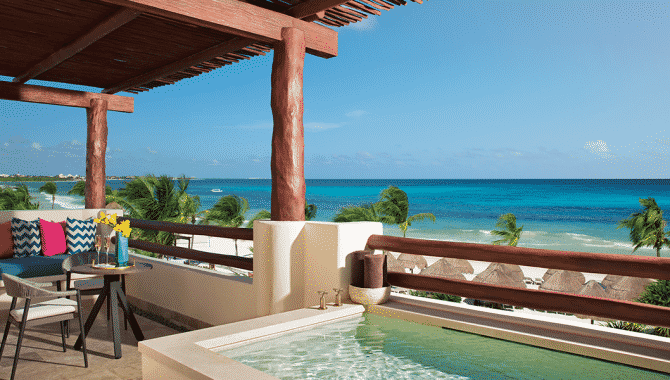 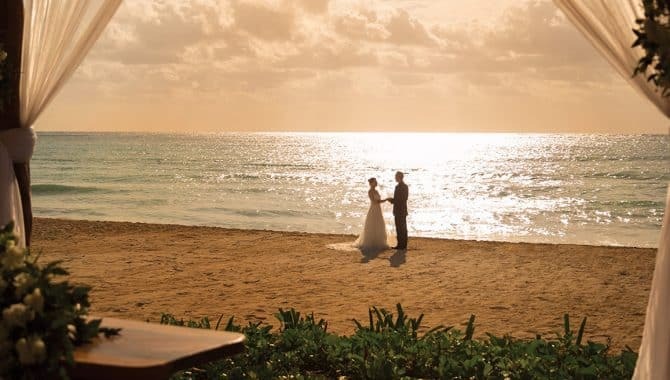 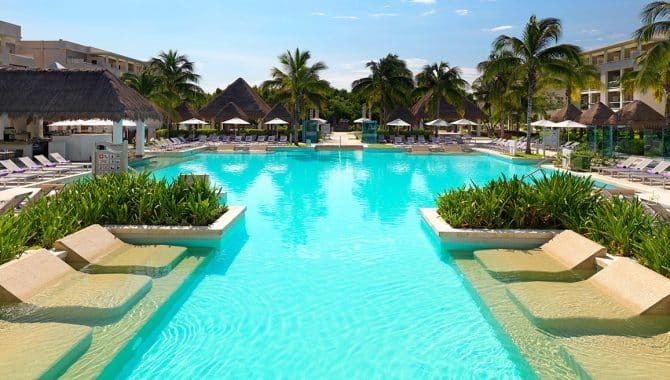 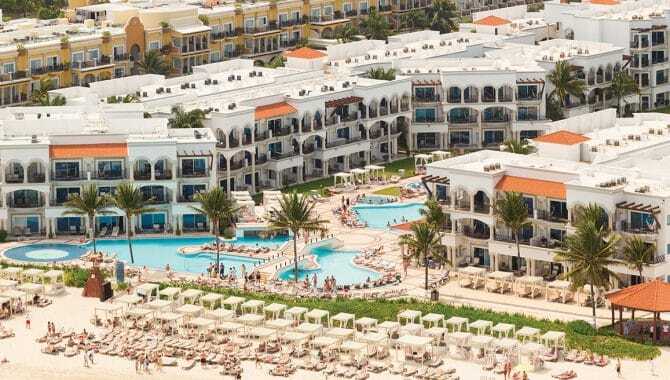 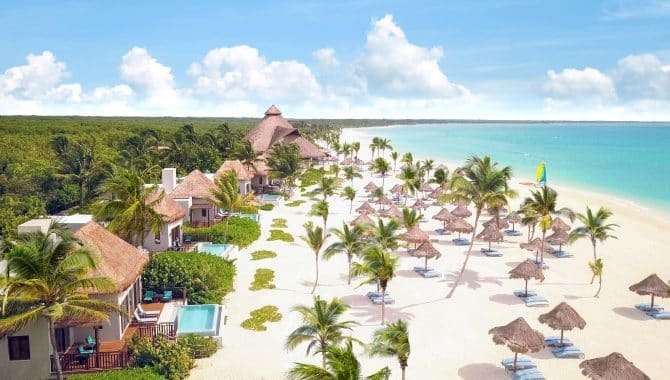 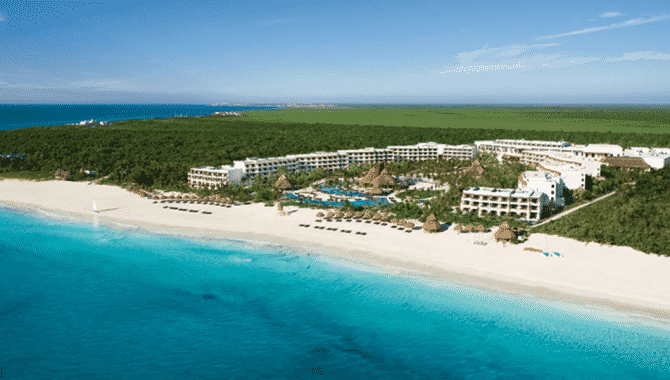 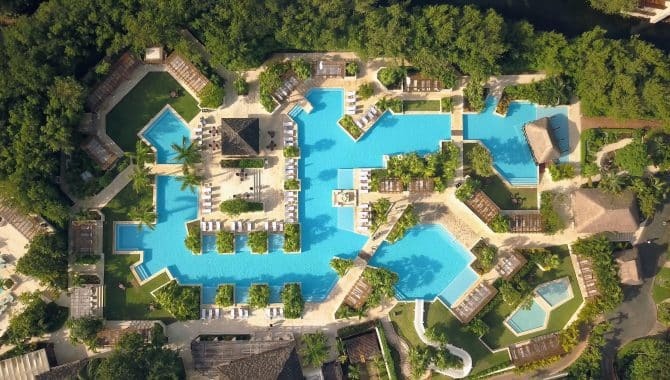 Paradisus Playa del Carmen La Esmeralda is where dream family vacations become a reality. 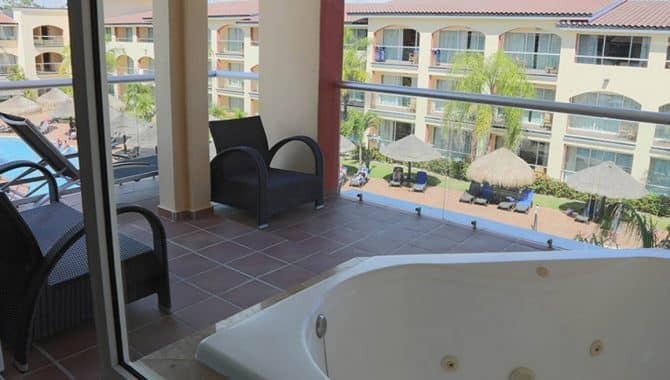 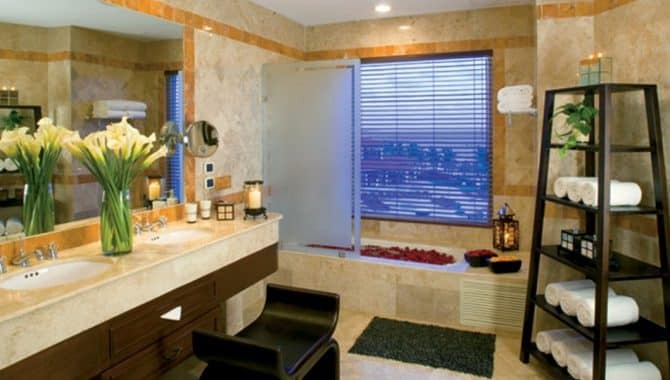 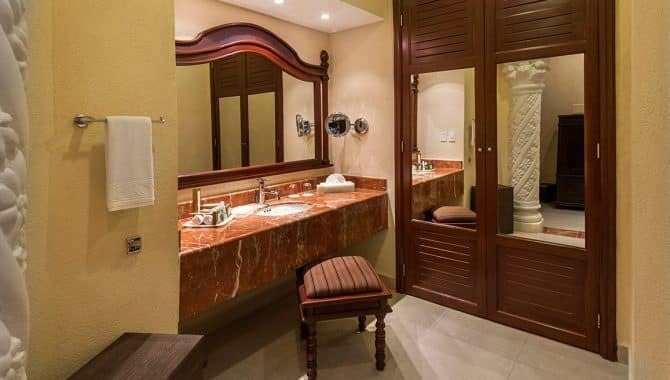 The resort is equipped with a broad selection of amenities. 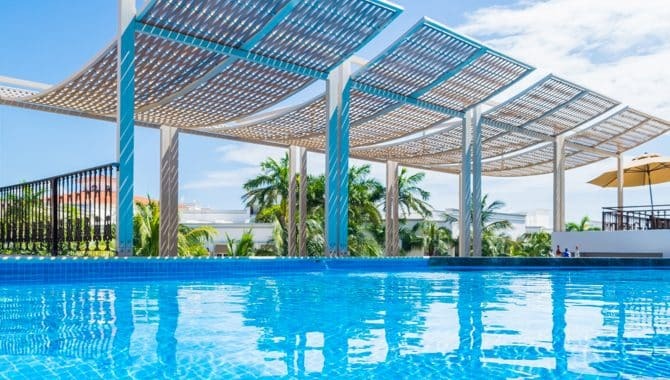 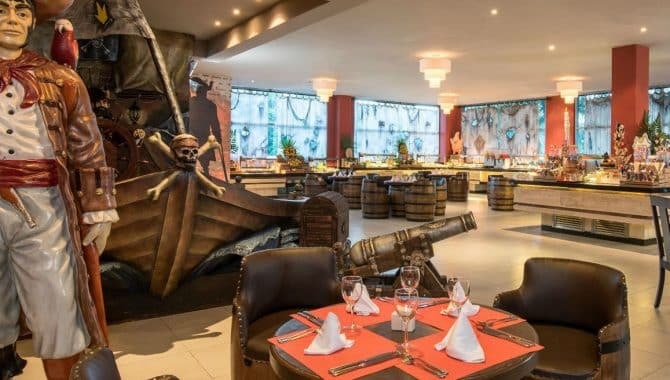 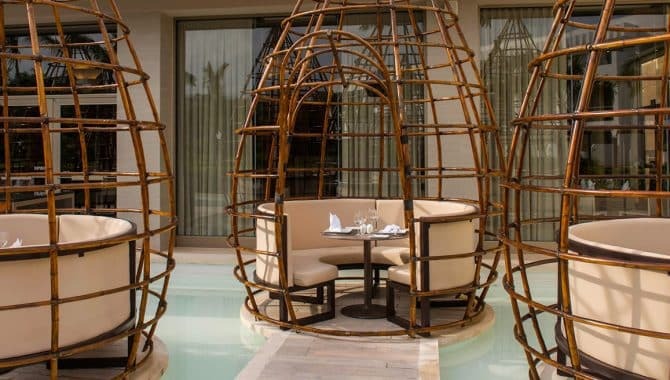 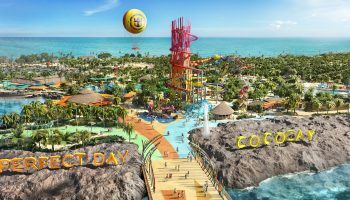 Soak in the sun in style on an exclusive Bali bed at one of their two lagoon-style pools, or enjoy family time in the water at the kid’s pool, which is fitted with its very own pirate ship. 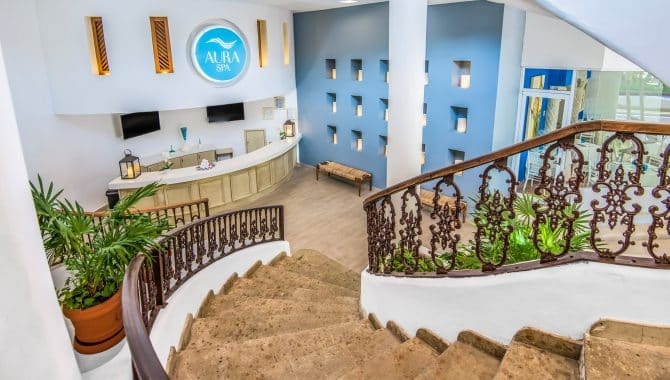 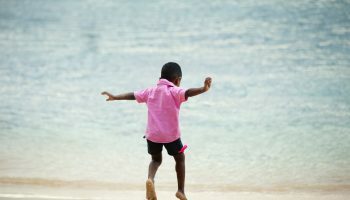 When it comes time to relax, drop the kids off at the resort’s daycare facility while you hit the spa for a massage, facial or sauna visit. 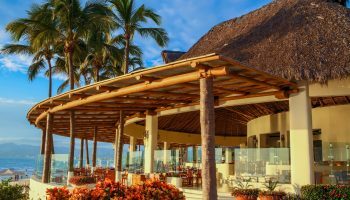 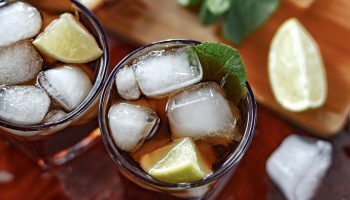 You can also sign up for one of the hotel’s many adult classes, including tequila tasting and sushi making. 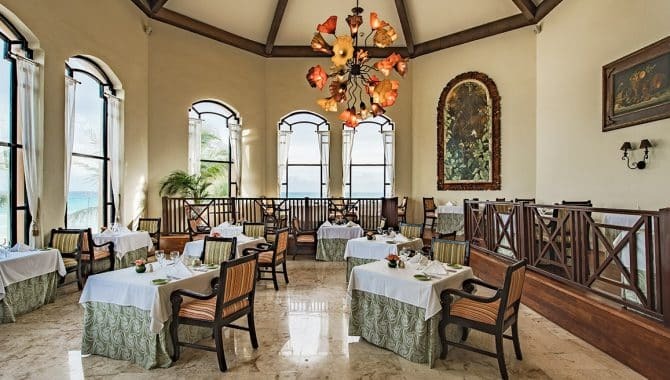 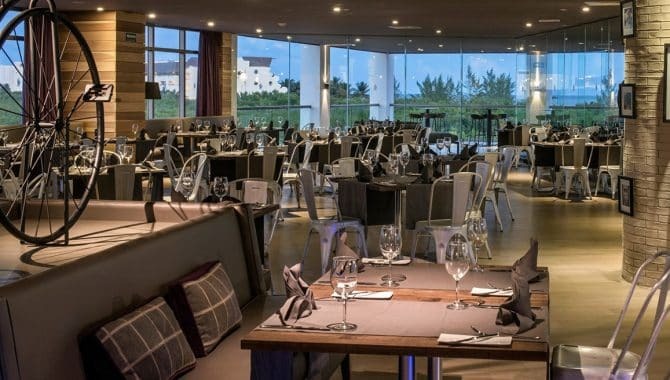 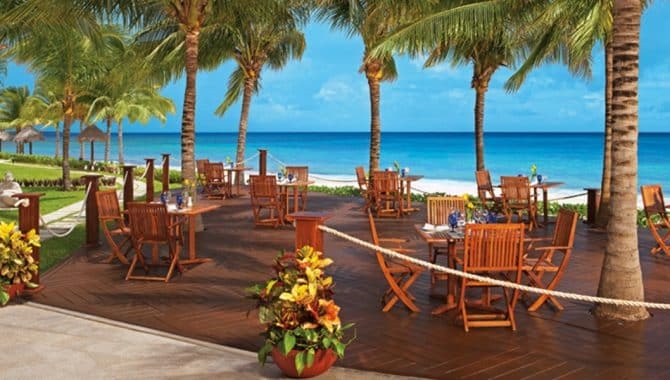 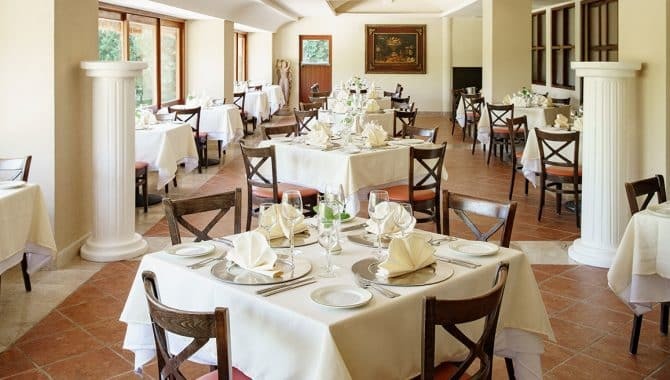 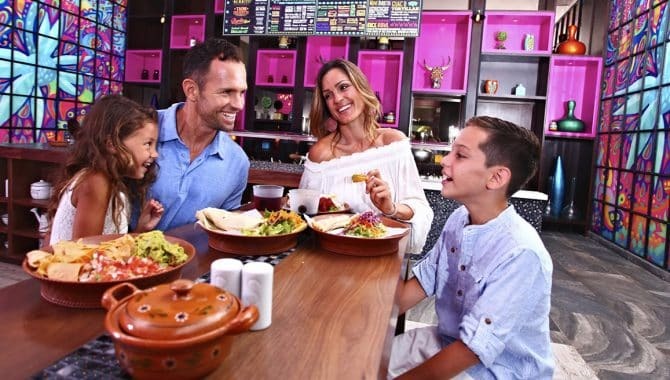 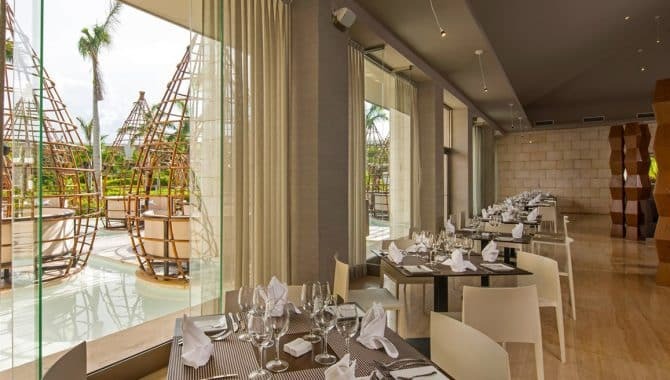 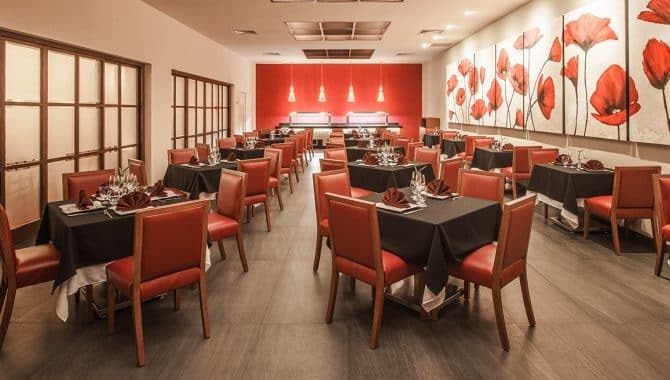 Meet back up with your family for a delicious dinner at one of the resort’s 16 restaurants. 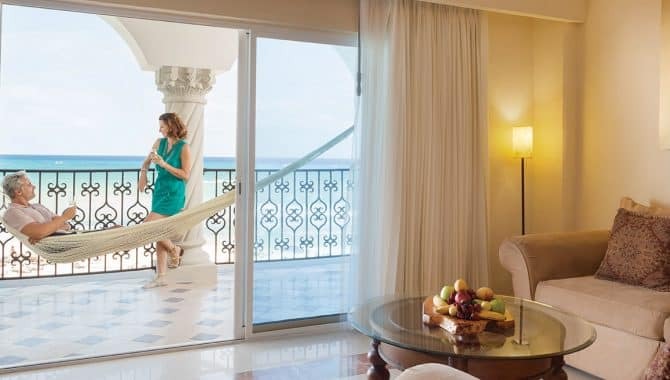 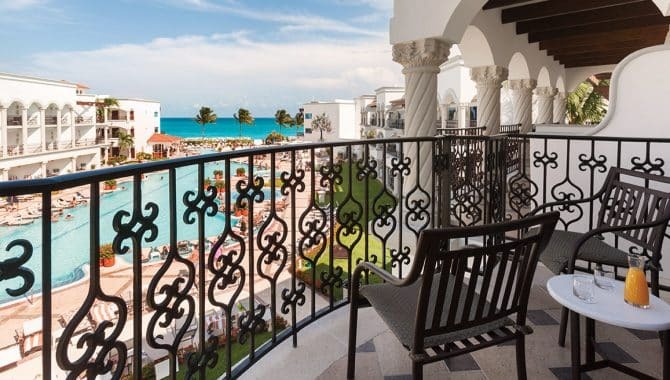 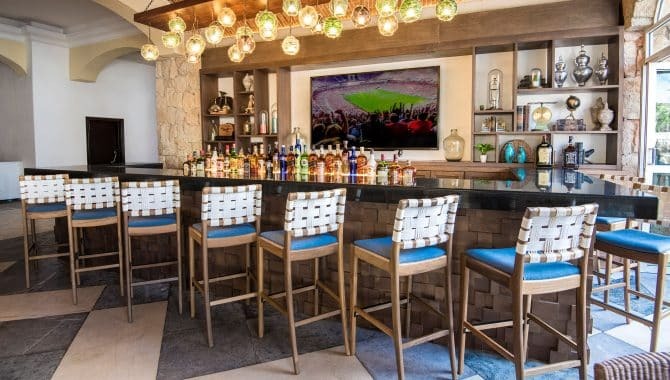 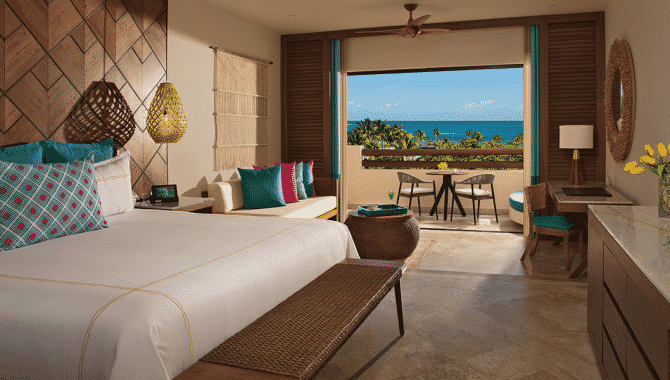 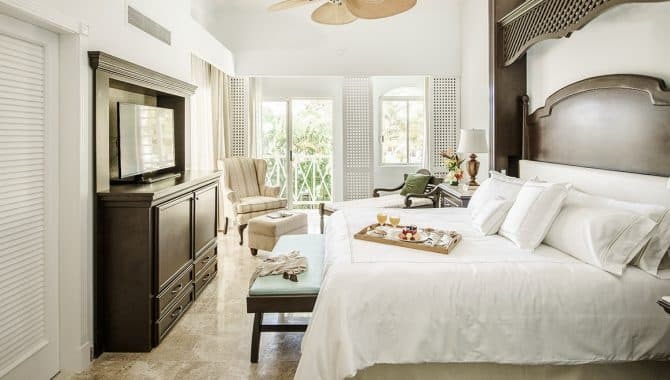 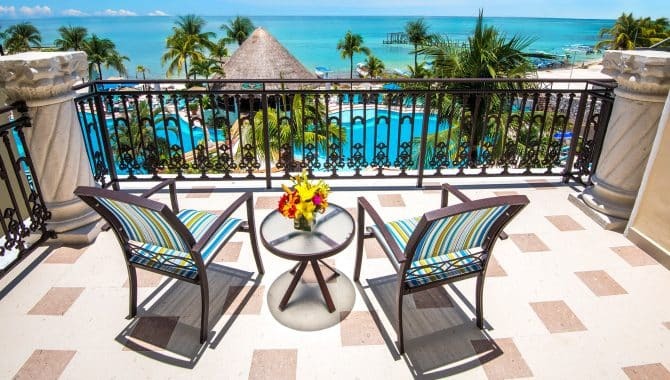 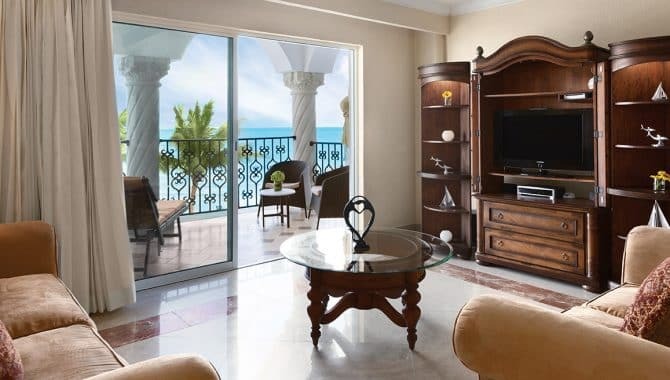 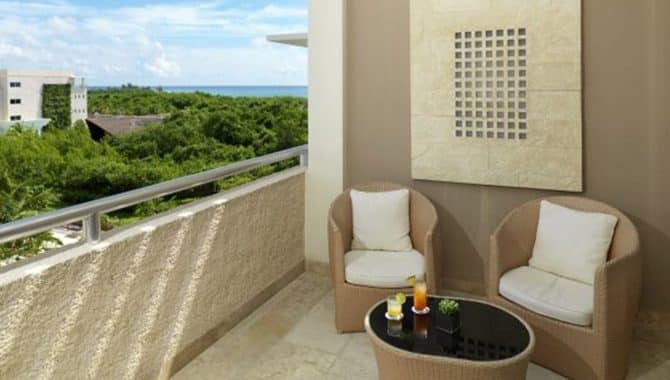 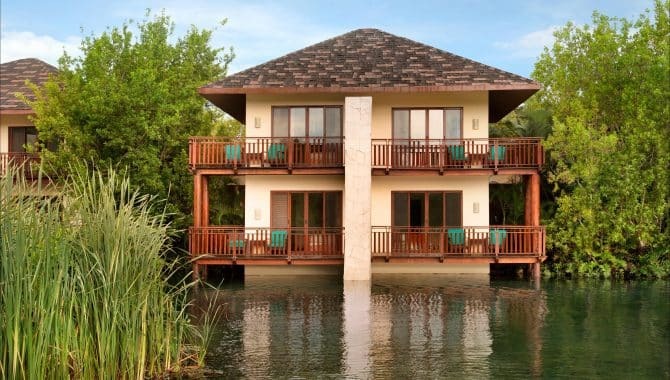 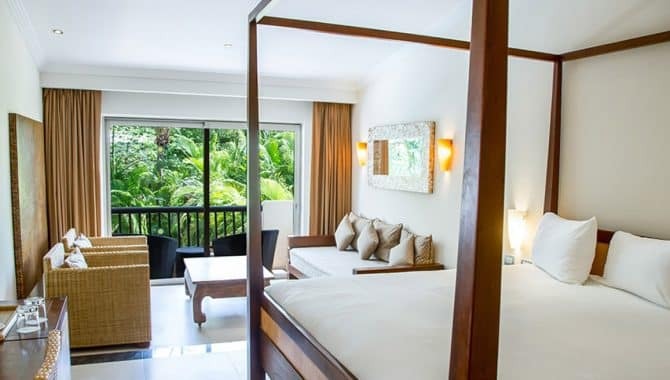 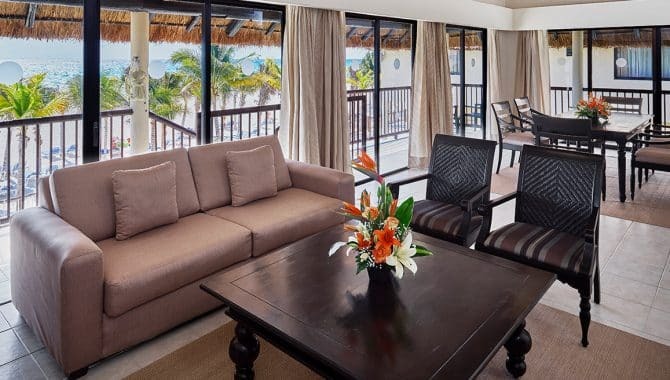 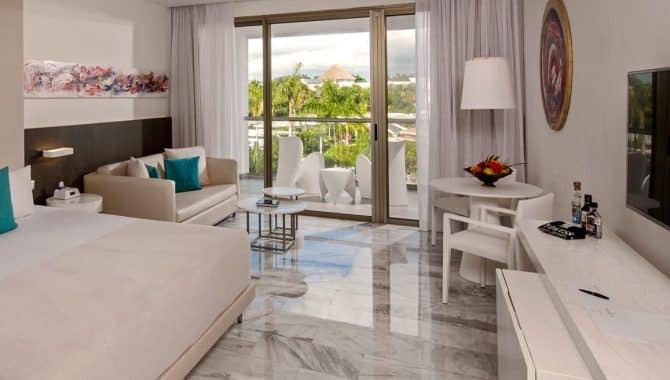 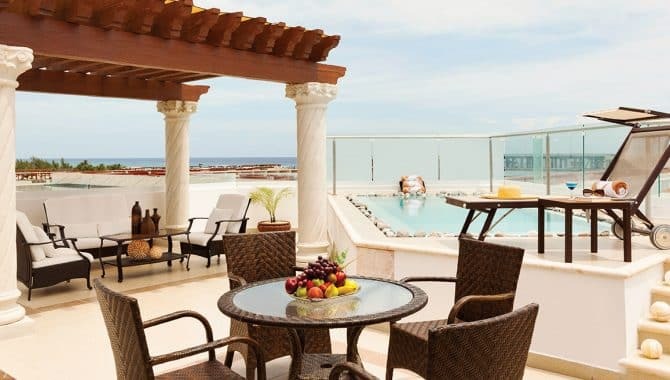 All of the resorts 488 suites are fitted with terraces or balconies, so guests have the opportunity to take in the jaw-dropping seaside views without ever leaving the room. 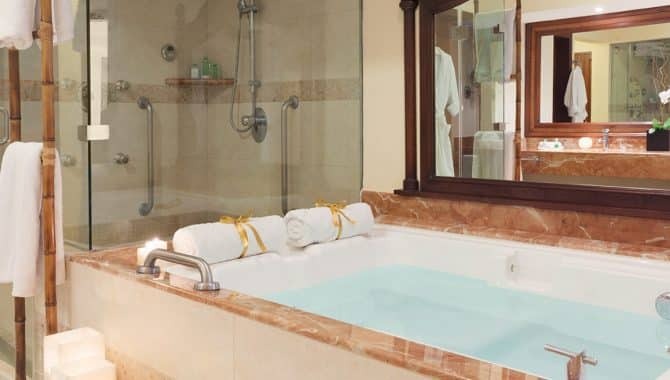 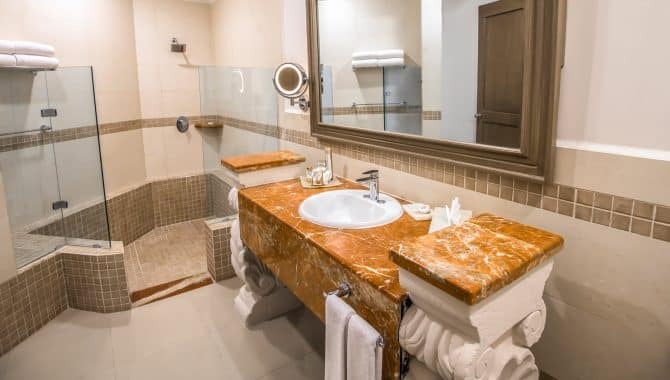 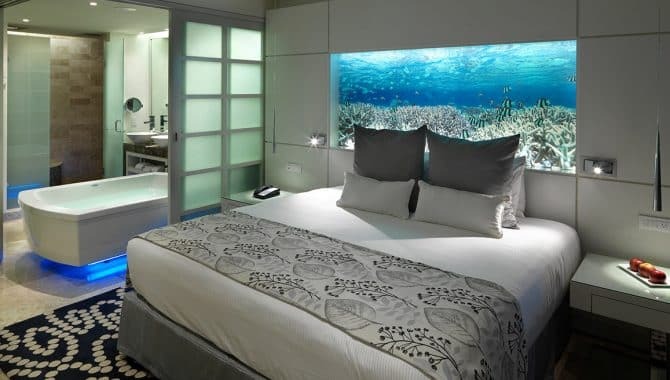 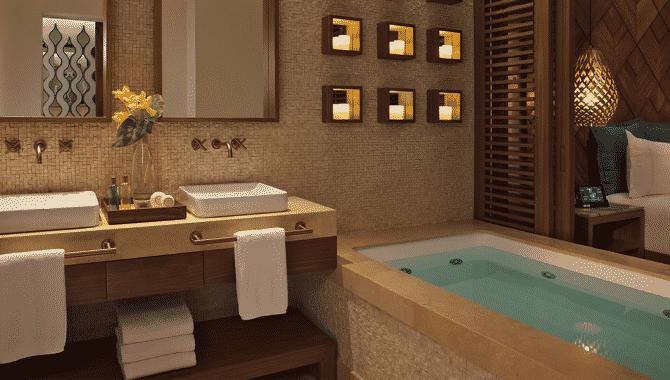 Each room also includes a flat-screen TV and minibar, but some options also offer a hydromassage bathtub. 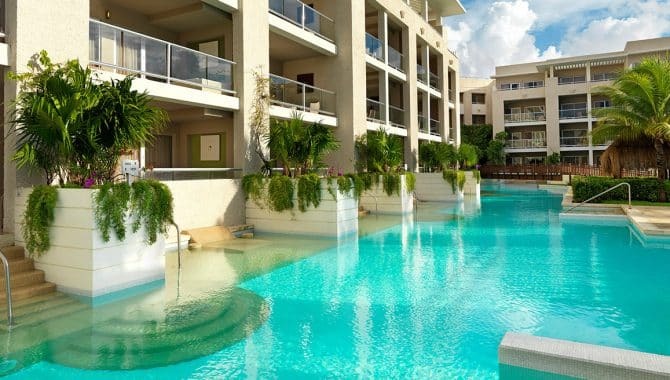 Want to take a dip in the pool first thing in the morning? 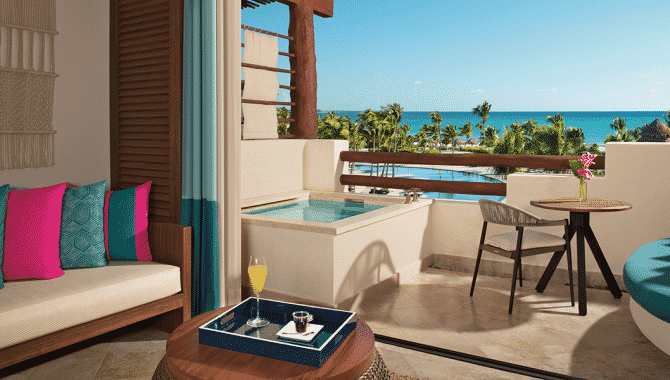 Book one of their 62 swim-up suites. 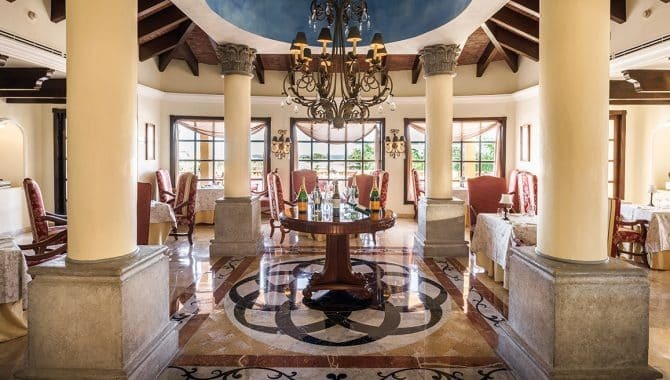 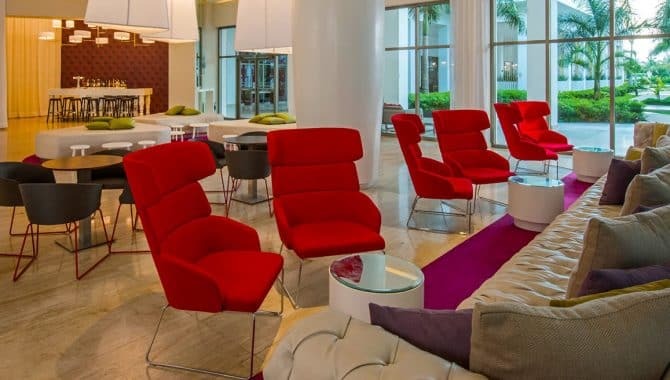 They also offer family concierge rooms with private check-ins, all-day snacks and a special welcome kit for children.